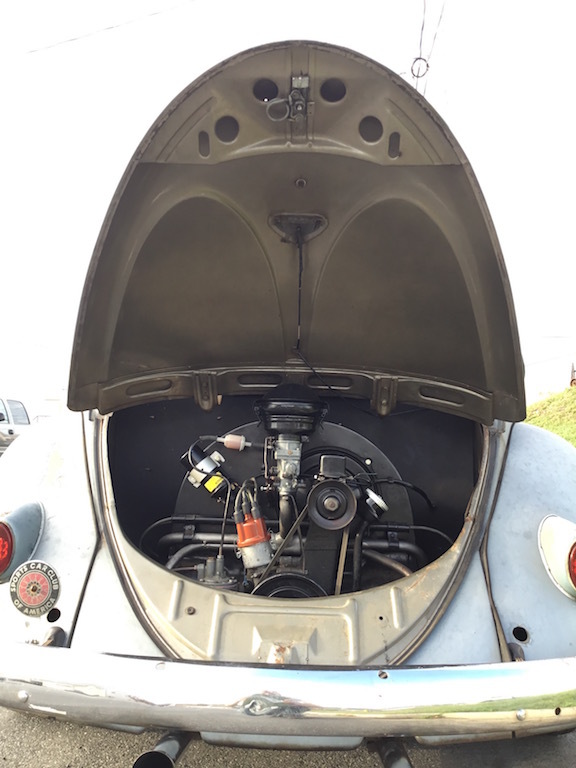 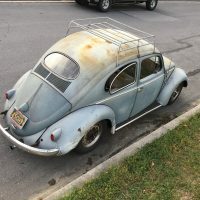 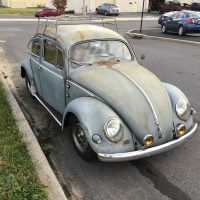 1956 Volkswagen Beetle » Specialty Cars Service Center, Inc.
1956 Volkswagen Beetle with 72,000 miles. 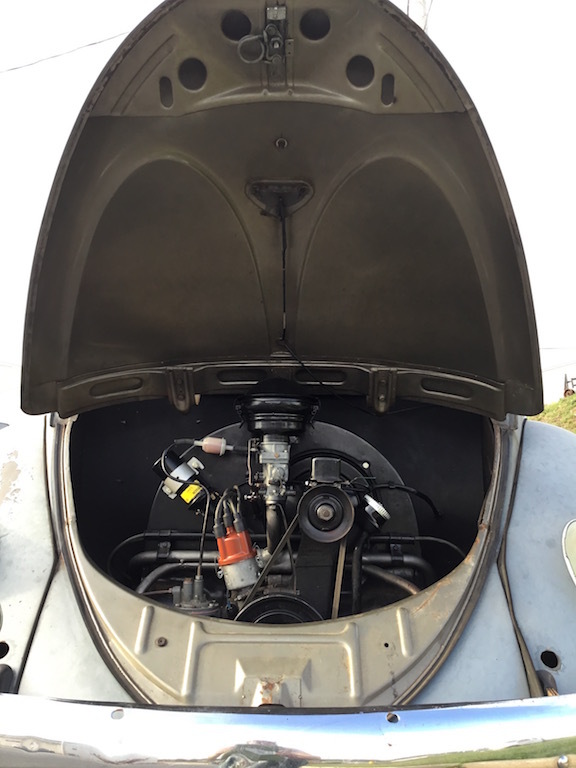 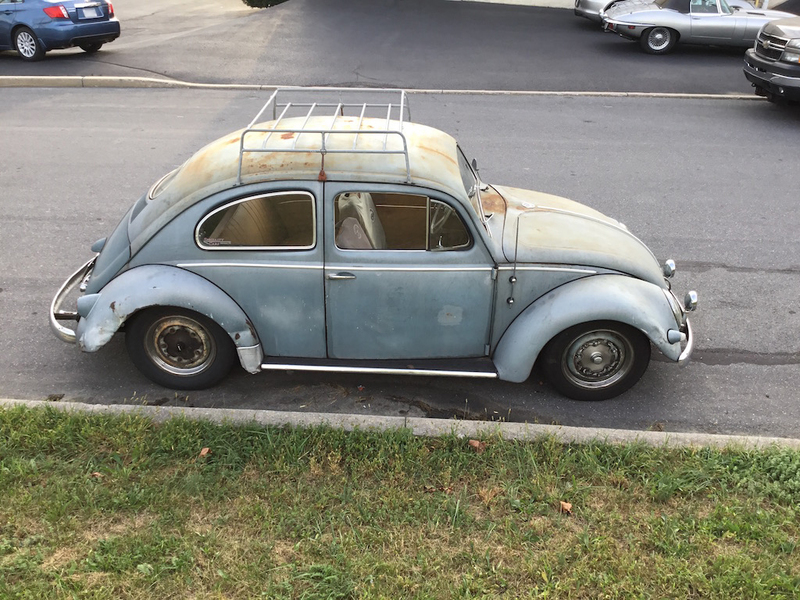 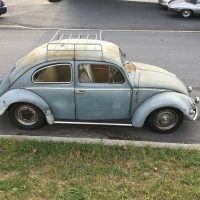 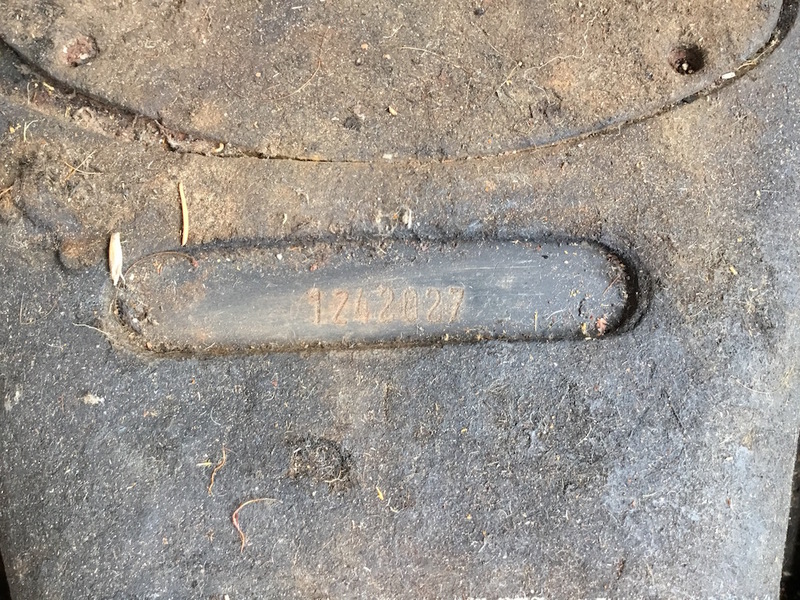 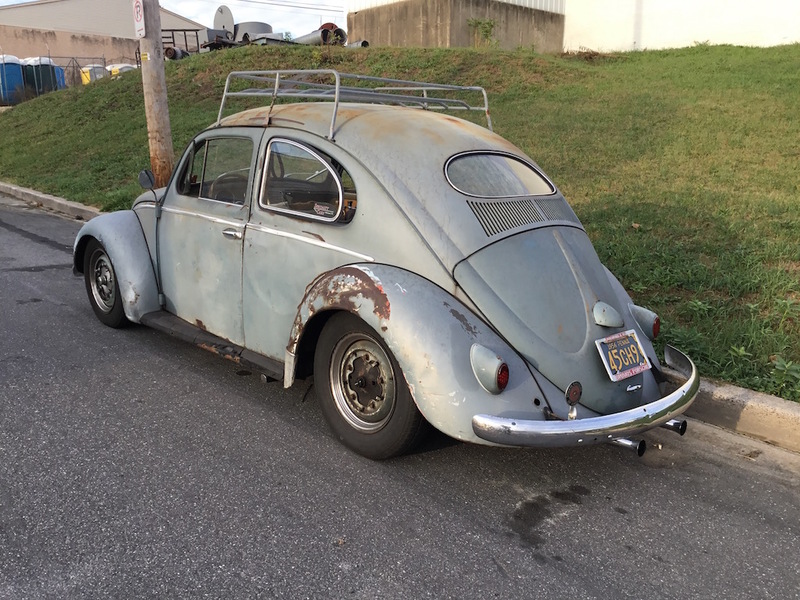 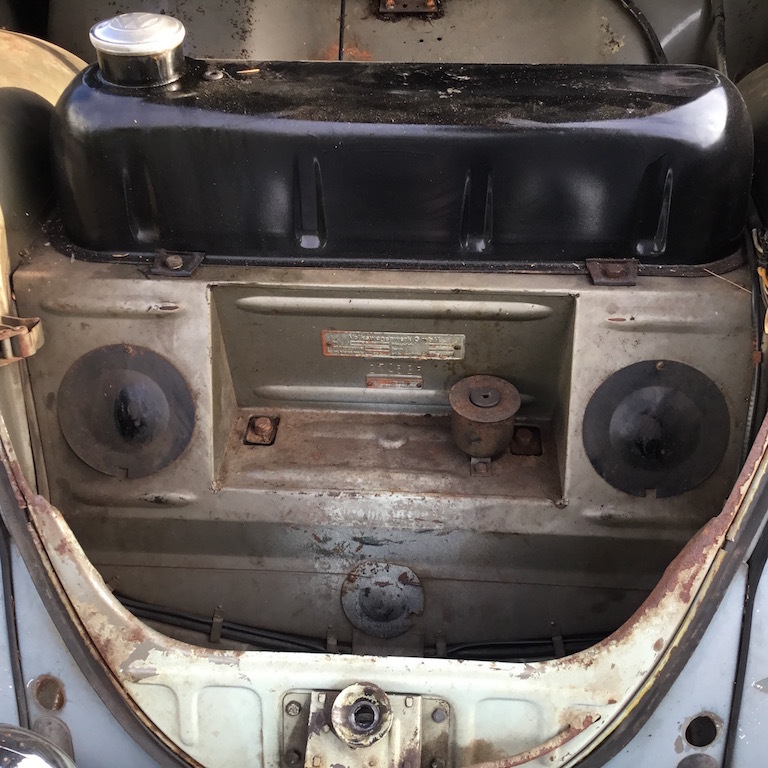 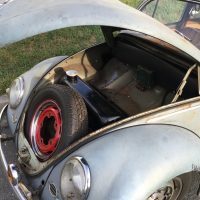 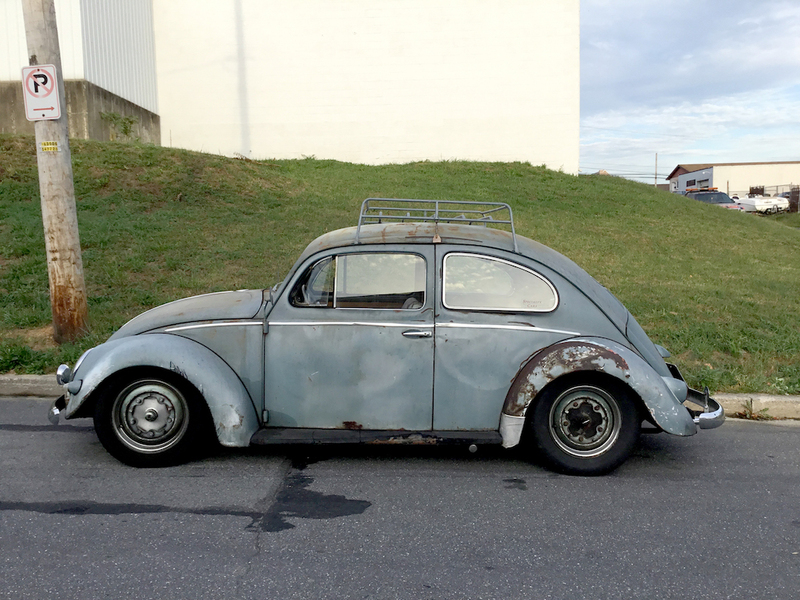 This beetle sat in a farmer’s barn from 1966 until 2001. 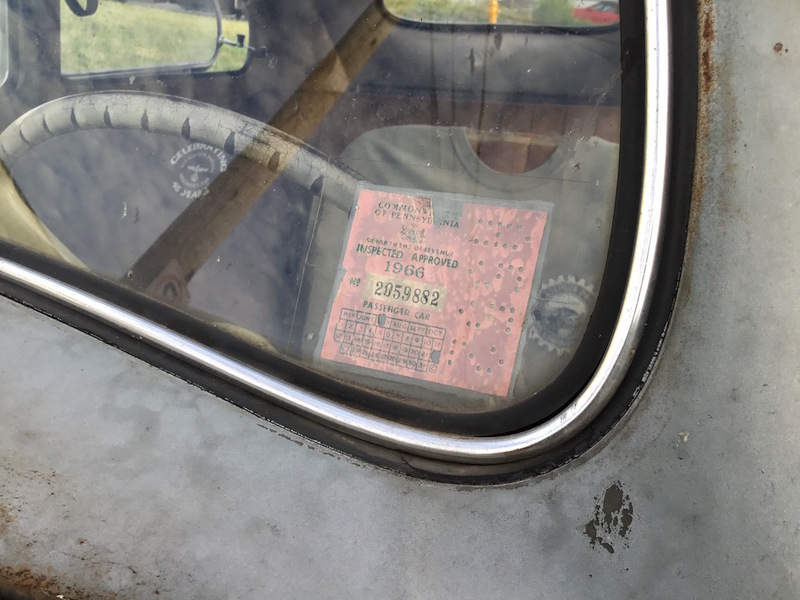 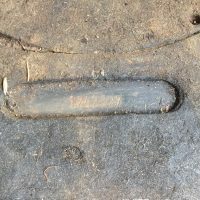 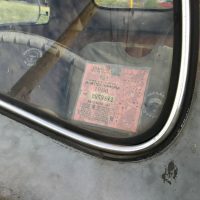 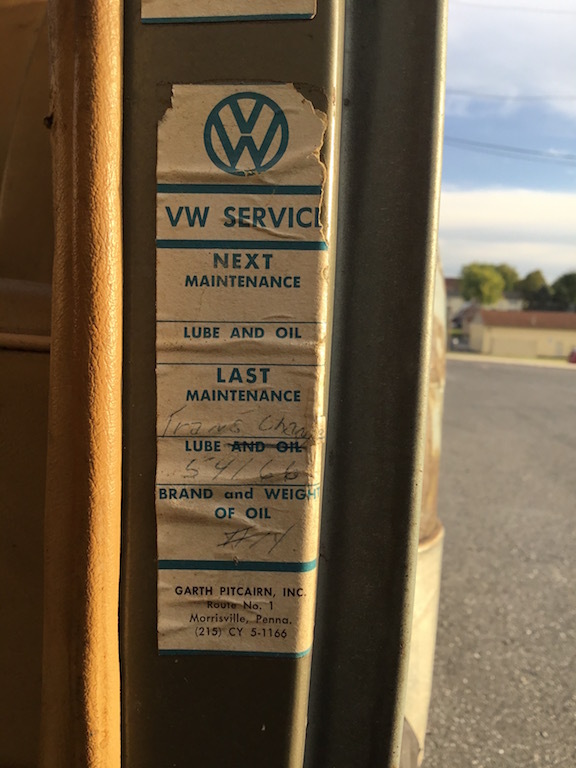 The last inspection sticker still remains on the car, dated 1966. 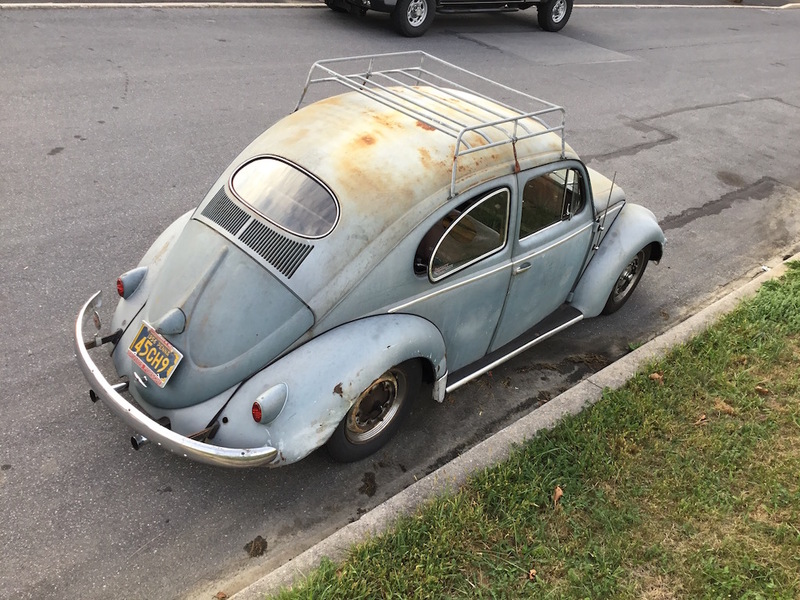 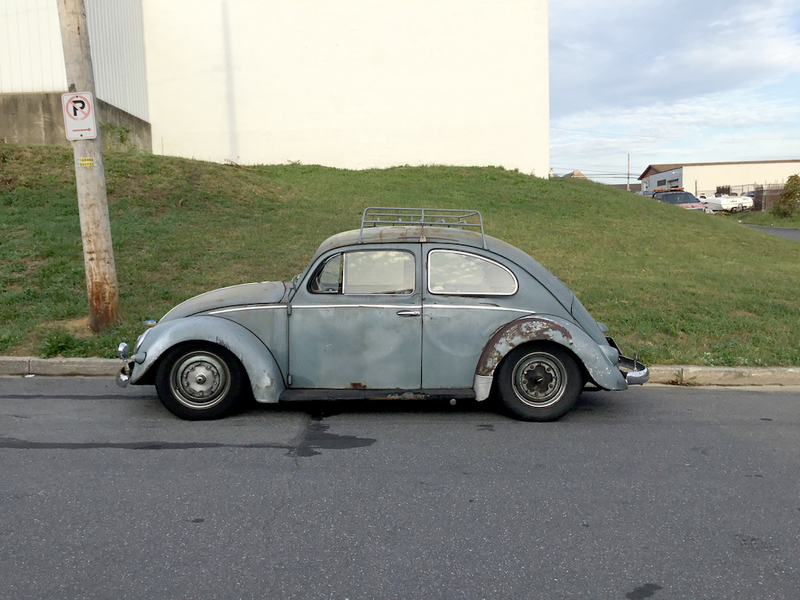 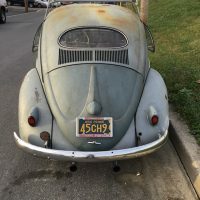 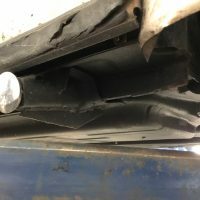 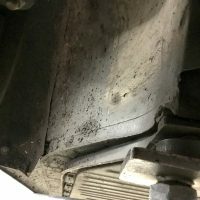 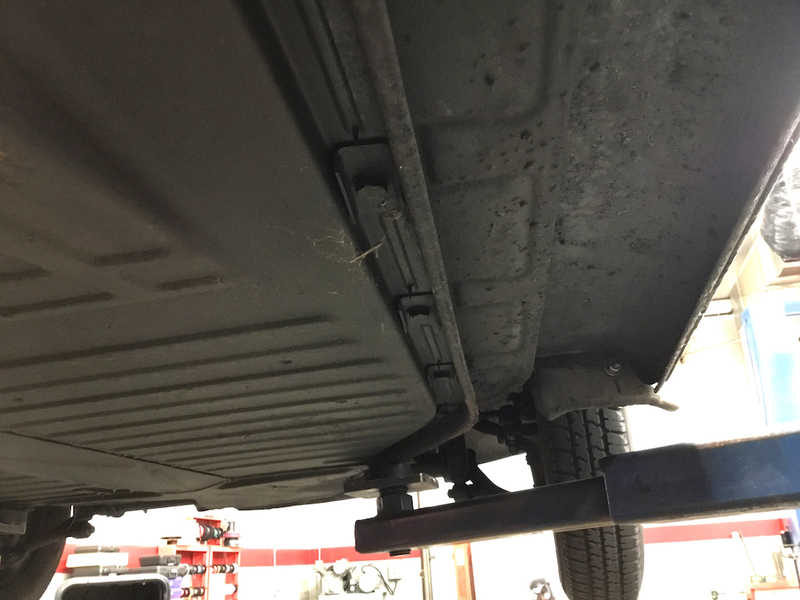 There is not, nor has there ever been any rust on this car. 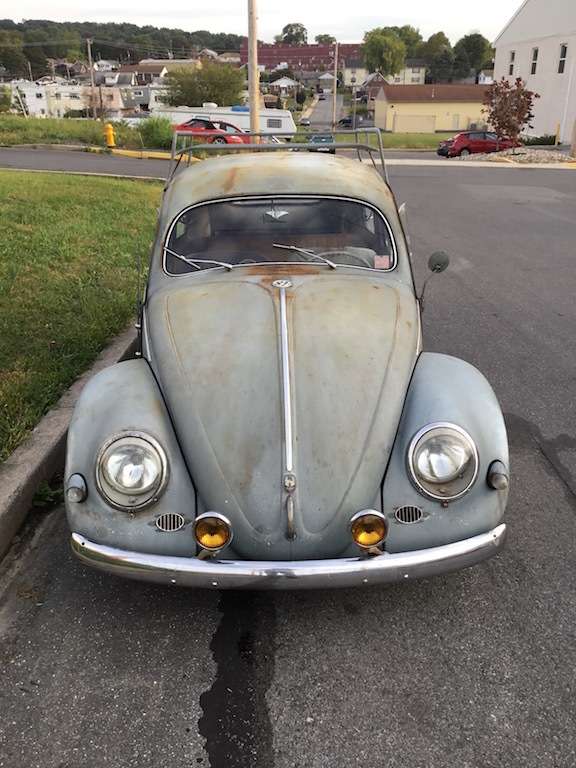 Although, after 35 years of storage in a barn, it has seen its’ fair share of dents (patina) from being bumped into by farm equipment. 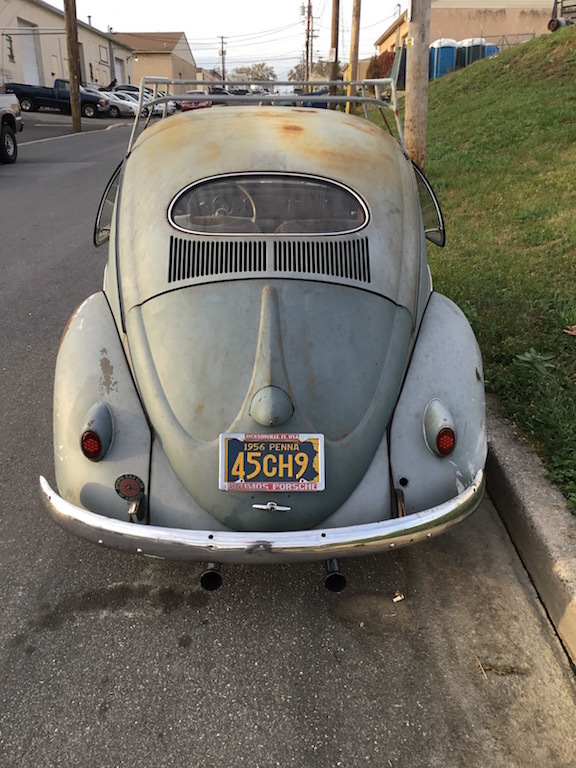 That being said, this car is certainly not lacking in character and has quite the interesting story to tell. 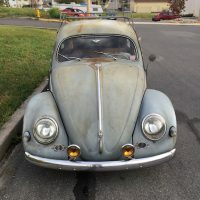 Sometime between 1956 and 1966, the car was painted blue; which was done over top of the original Diamond Green paint. 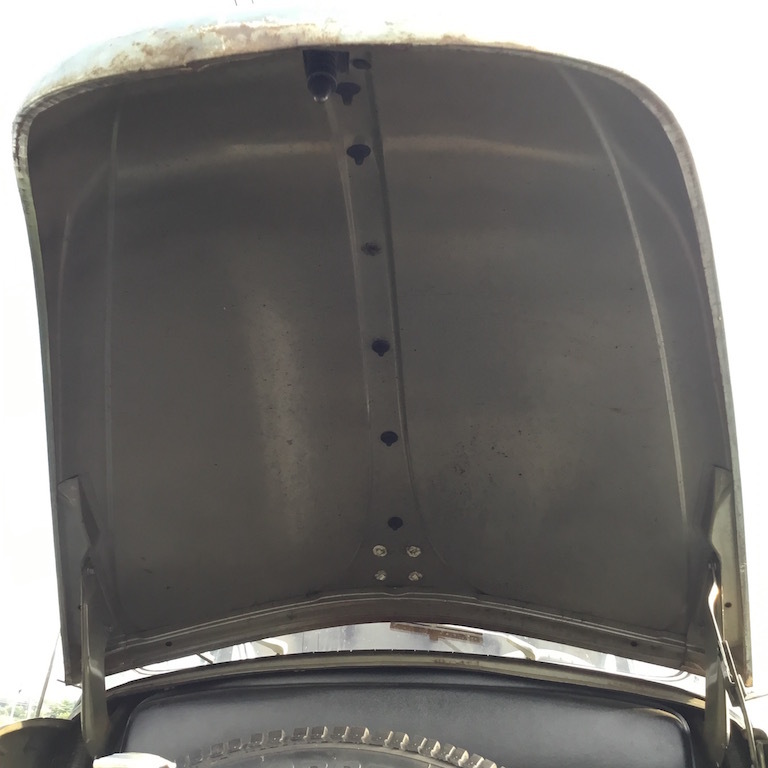 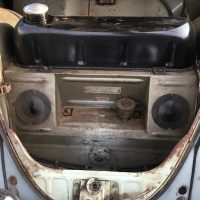 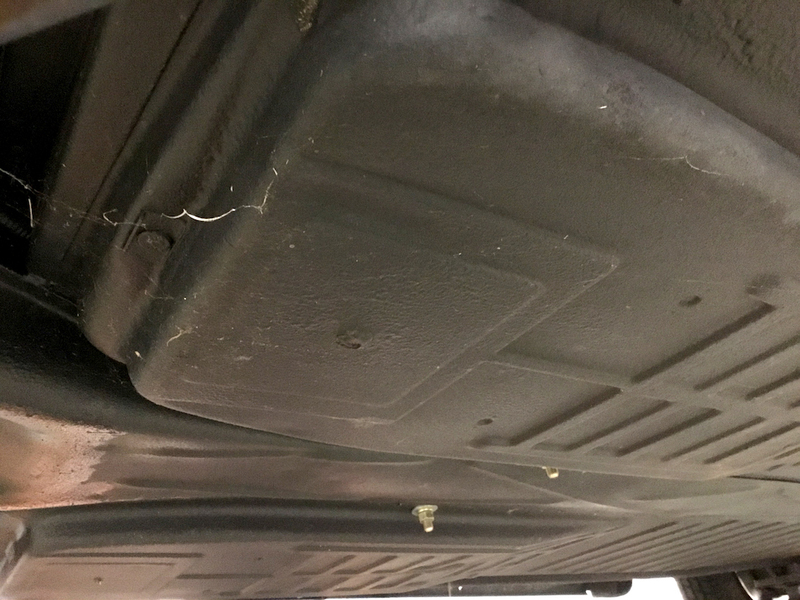 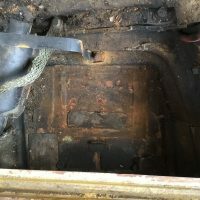 However, the original Diamond Green paint is still found in the trunk, interior, door jams and engine compartment. 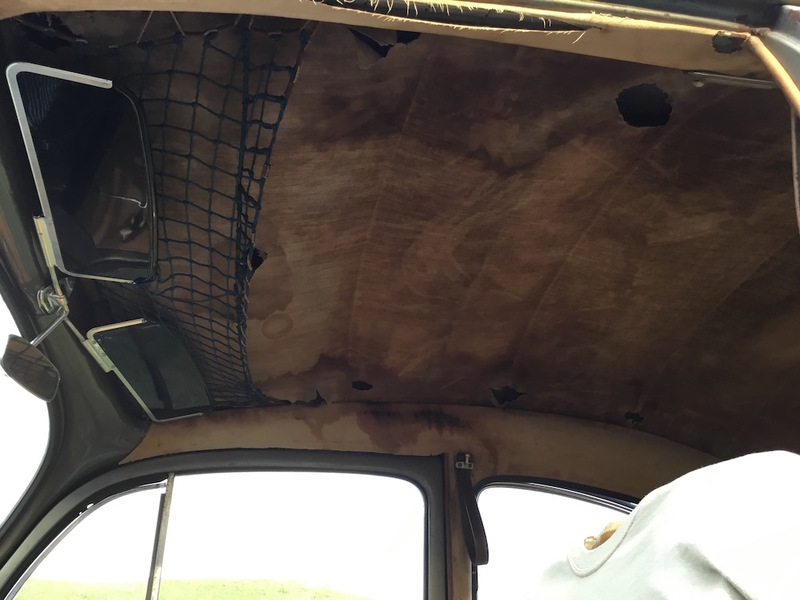 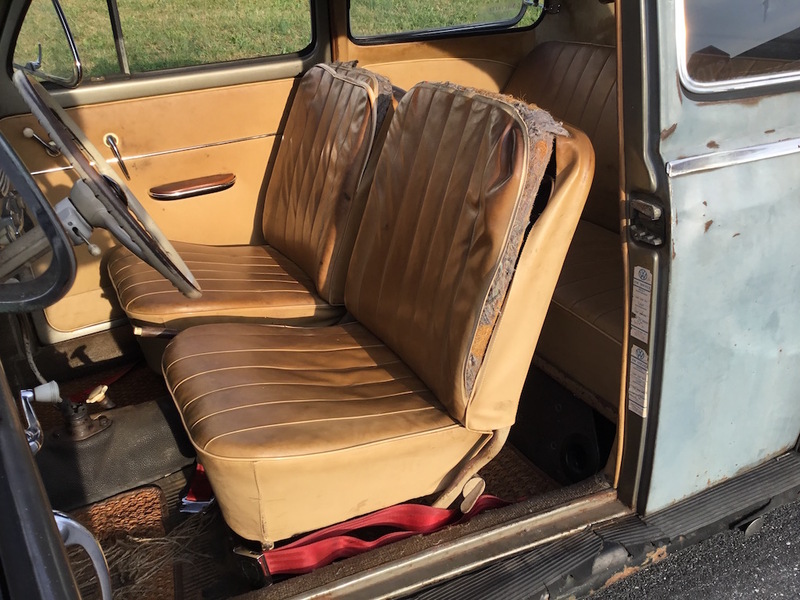 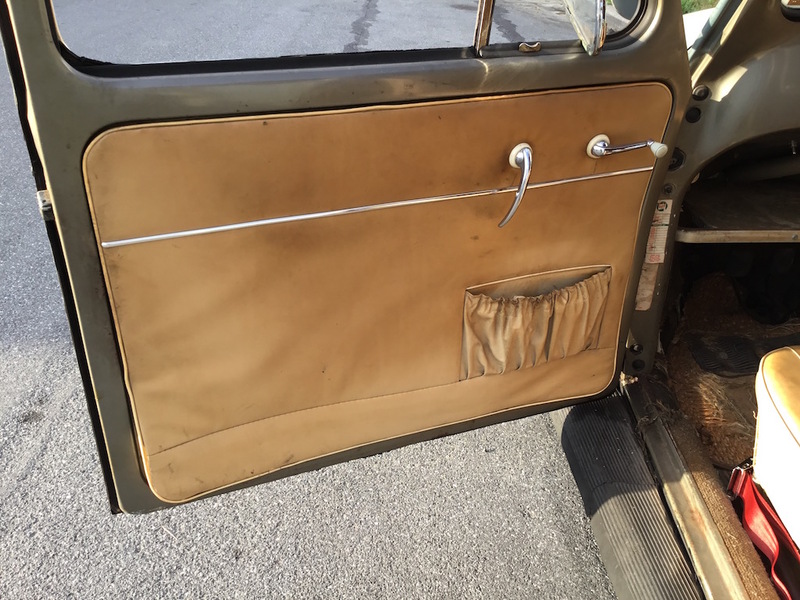 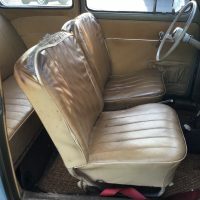 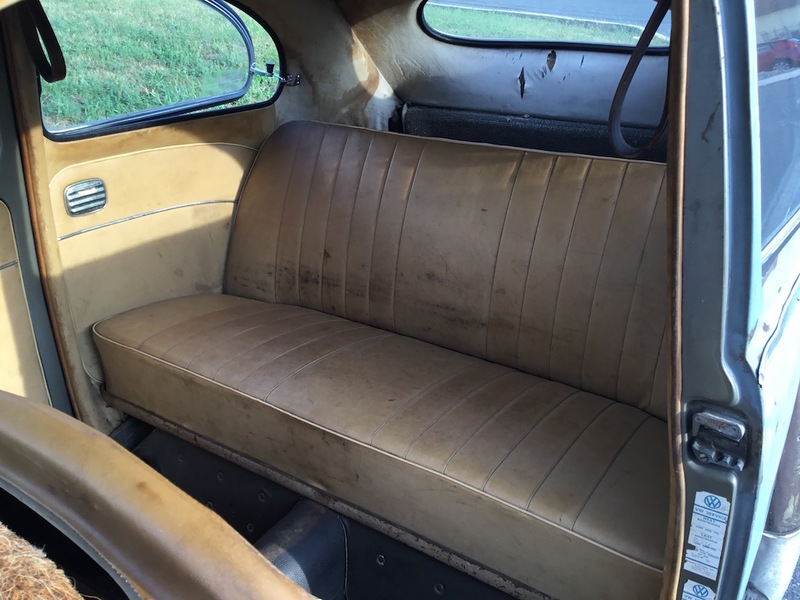 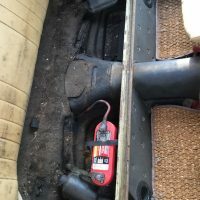 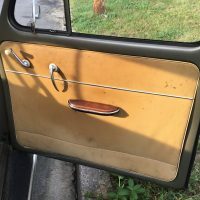 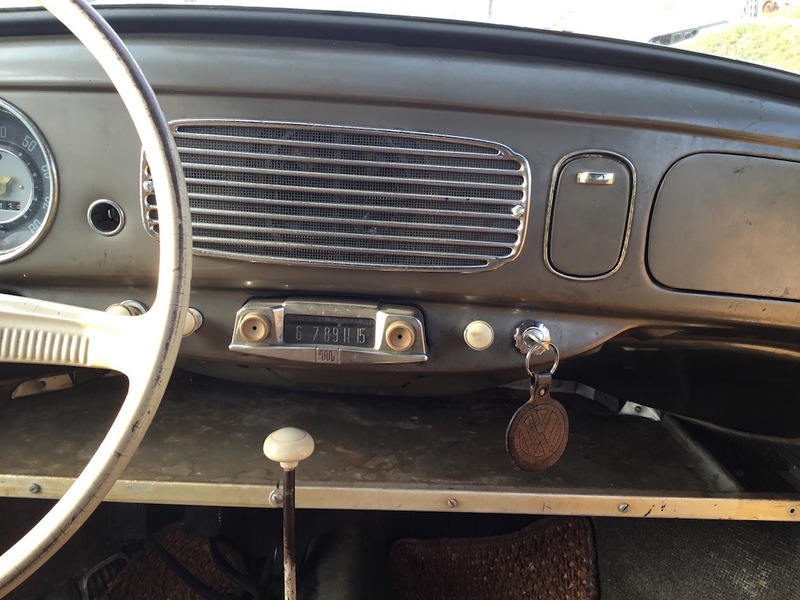 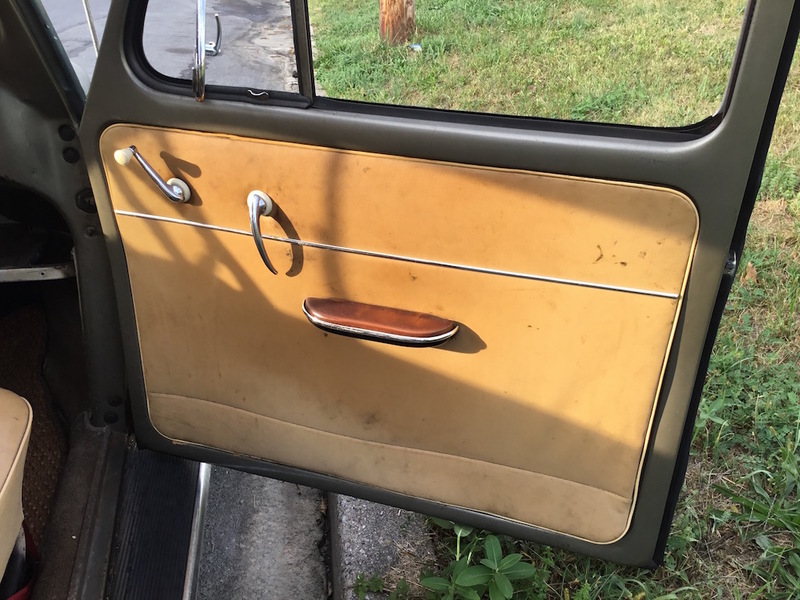 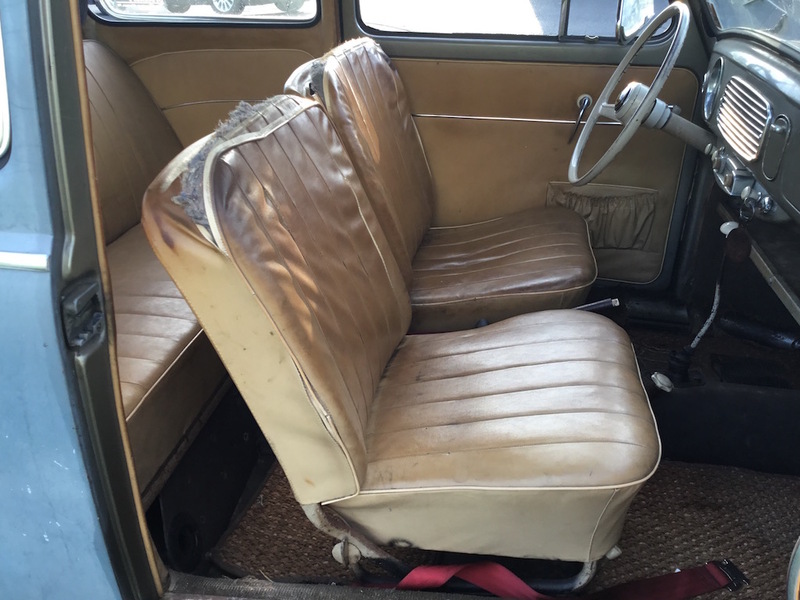 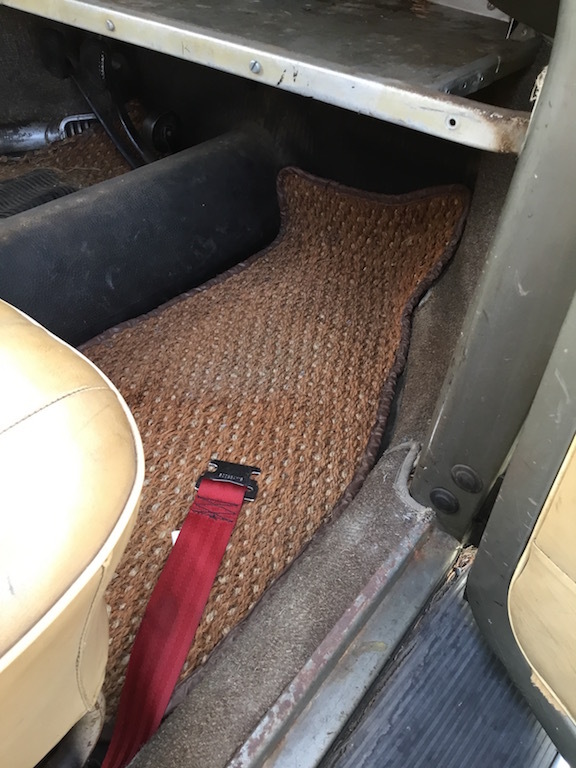 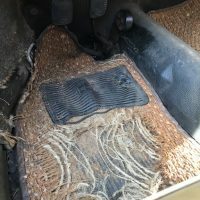 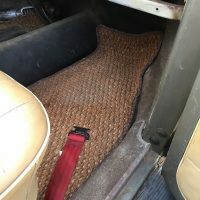 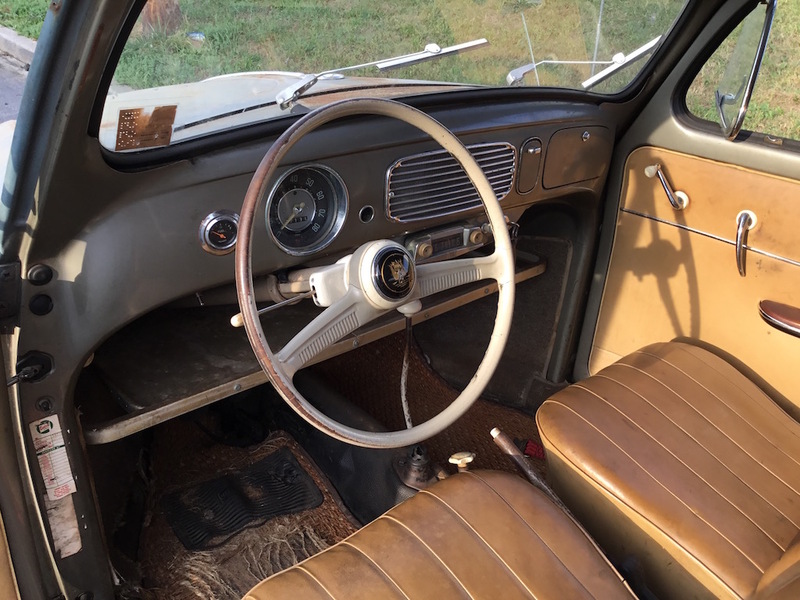 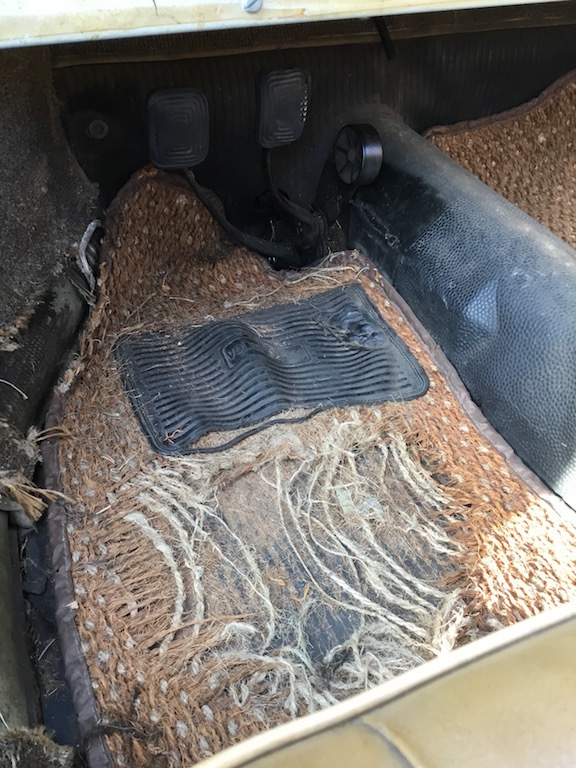 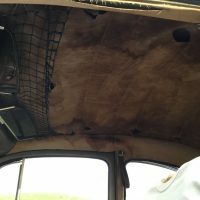 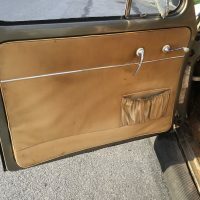 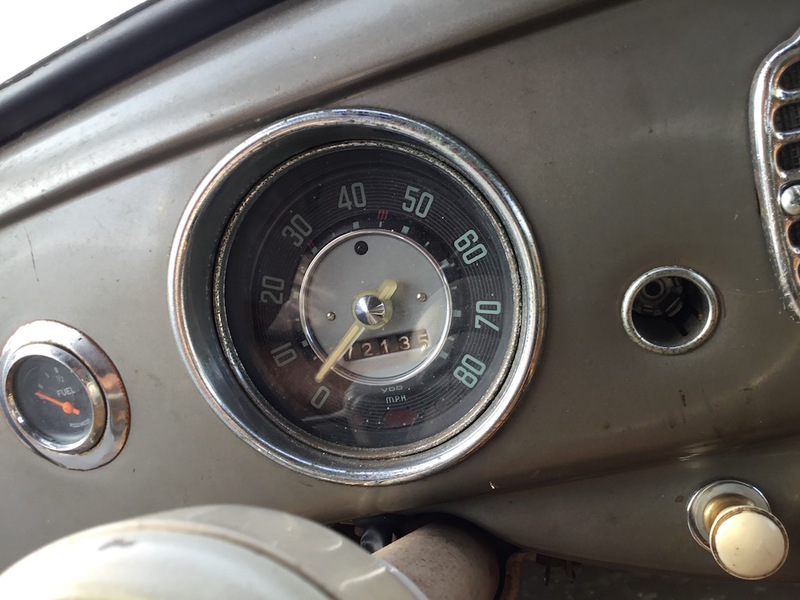 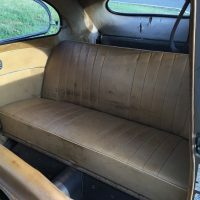 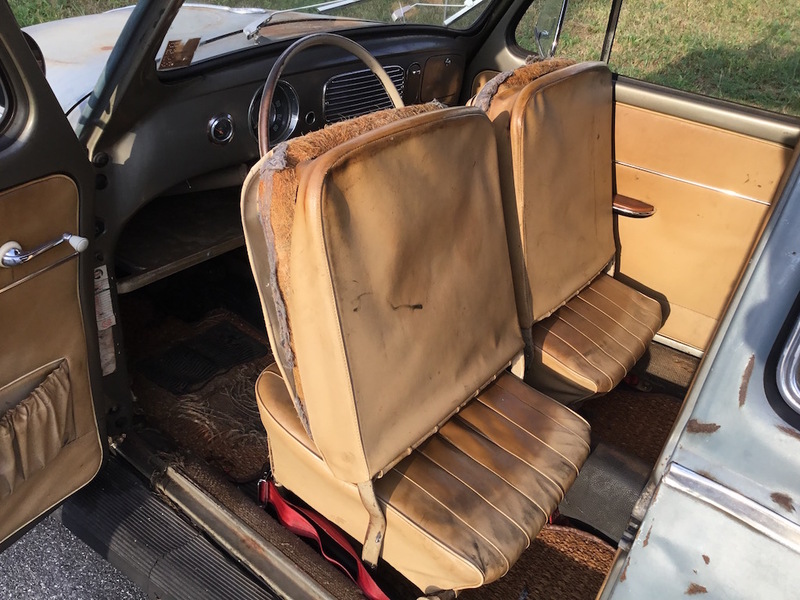 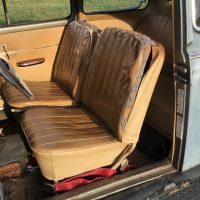 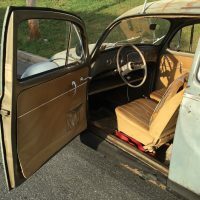 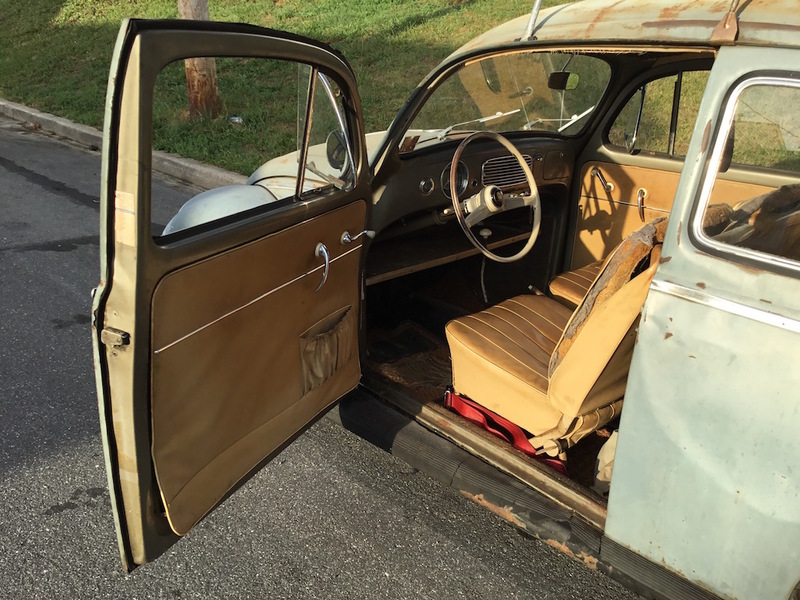 The interior is all original, though shows age and wear. 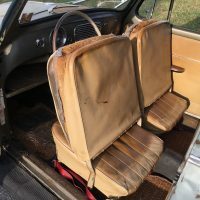 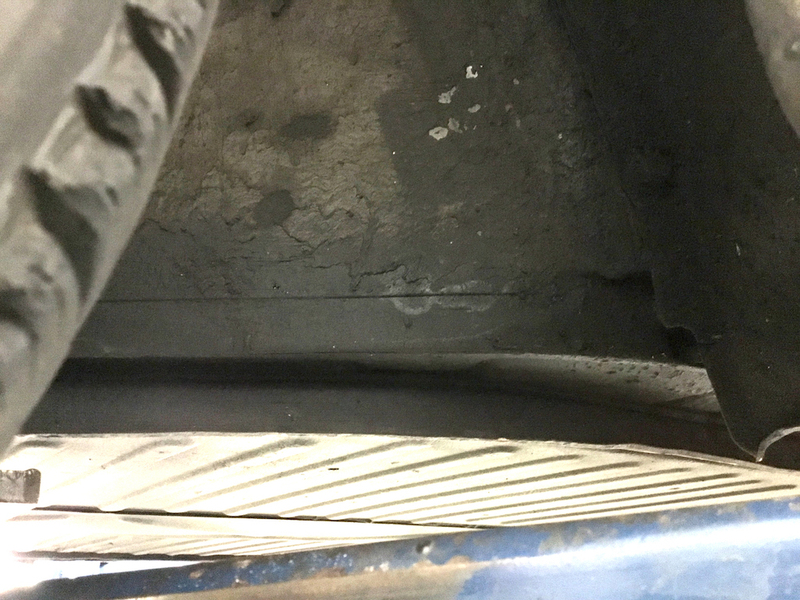 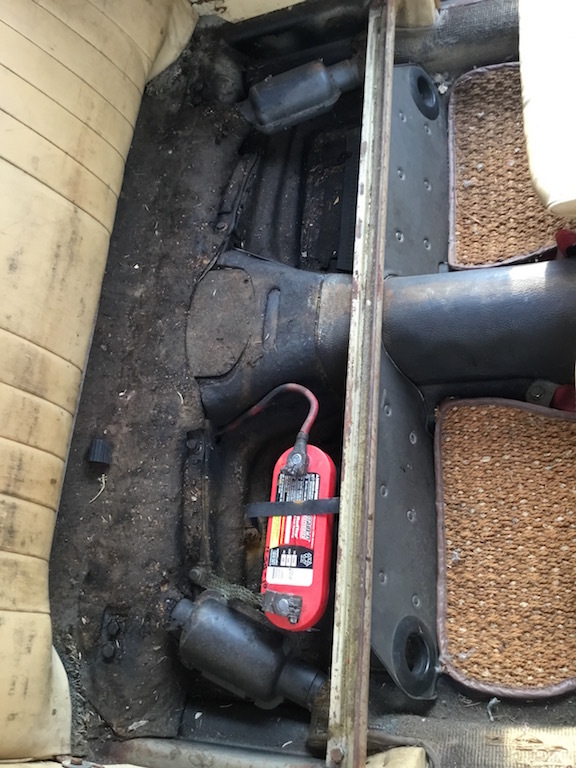 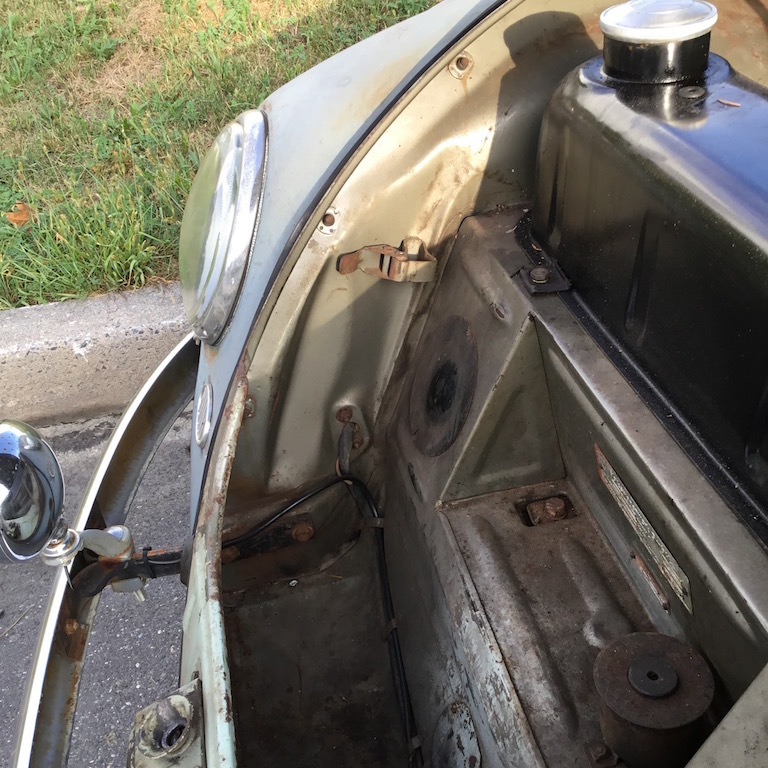 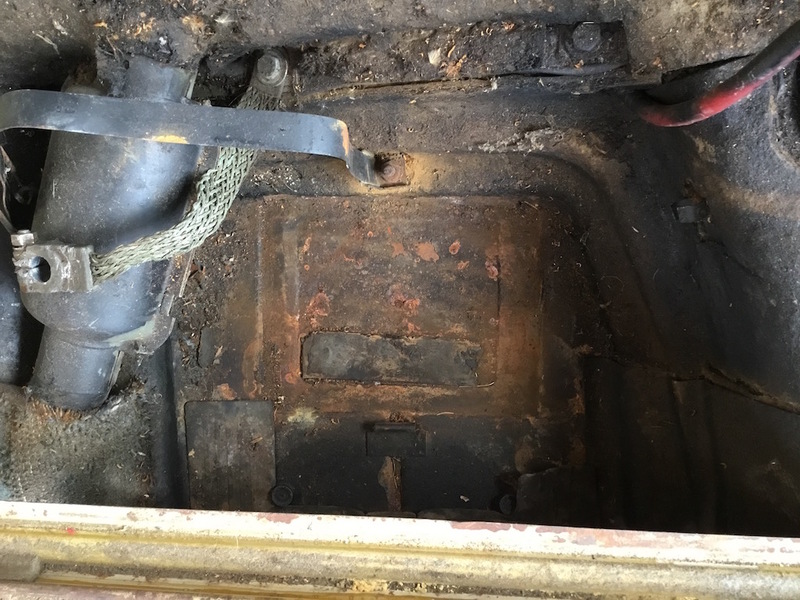 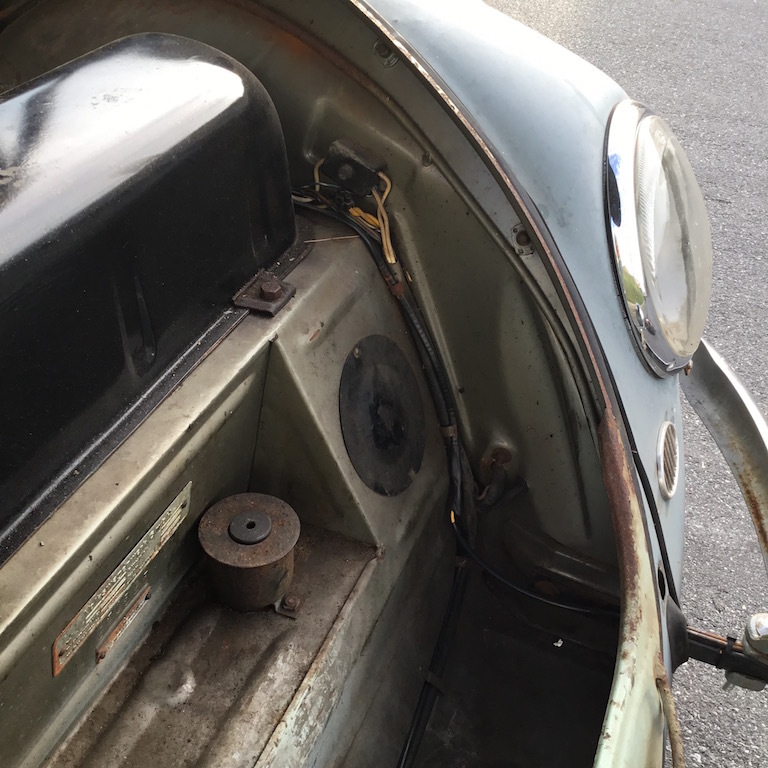 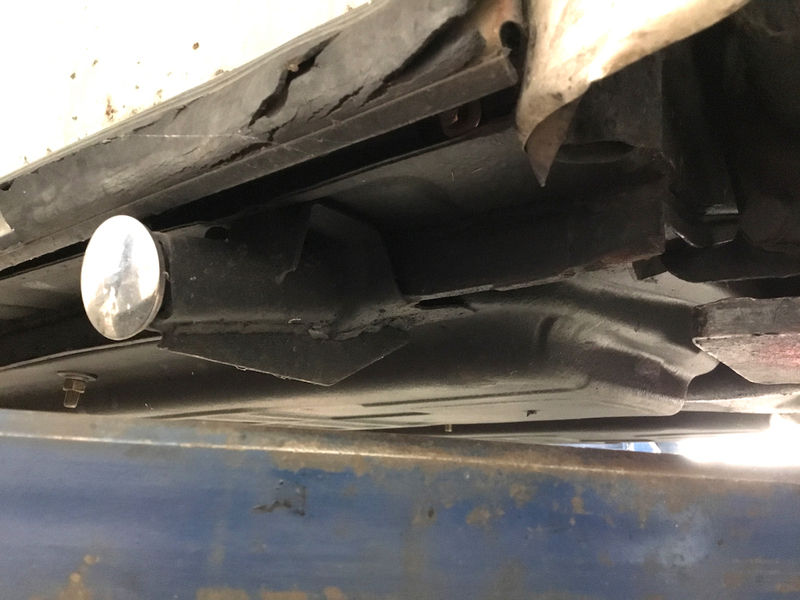 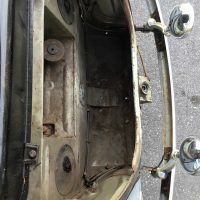 The seat seams have separated, but can be repaired, as they are not torn or ripped. 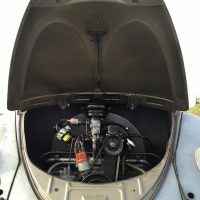 The engine and split case transmission are believed to be original, but there is no documentation. 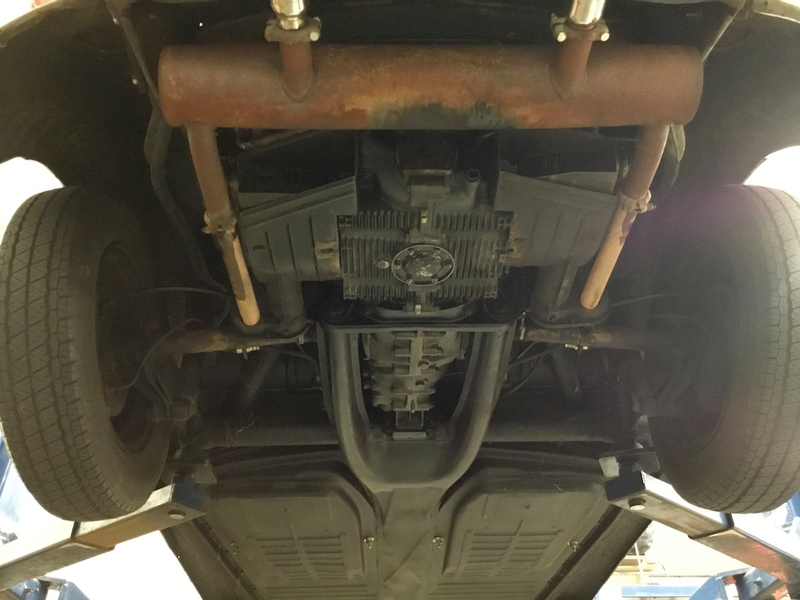 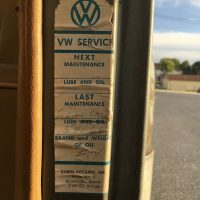 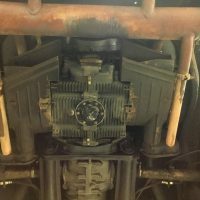 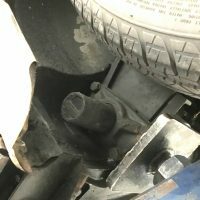 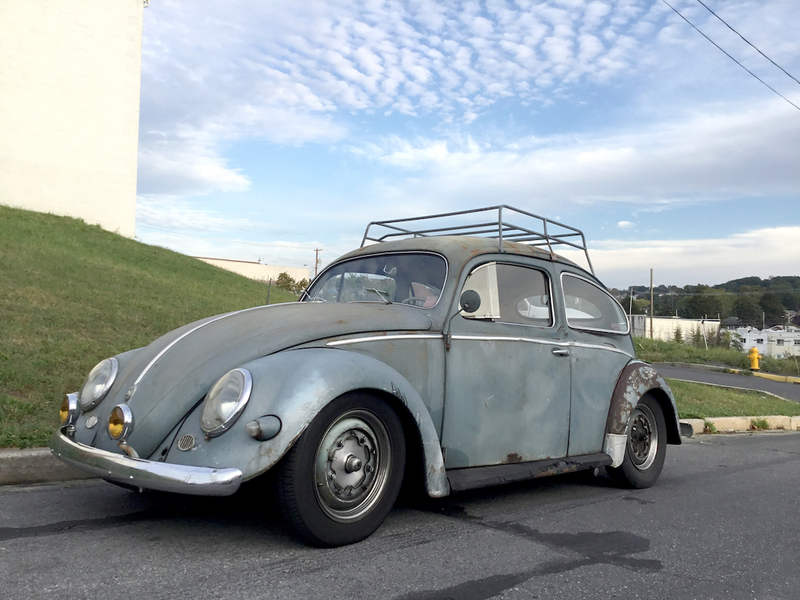 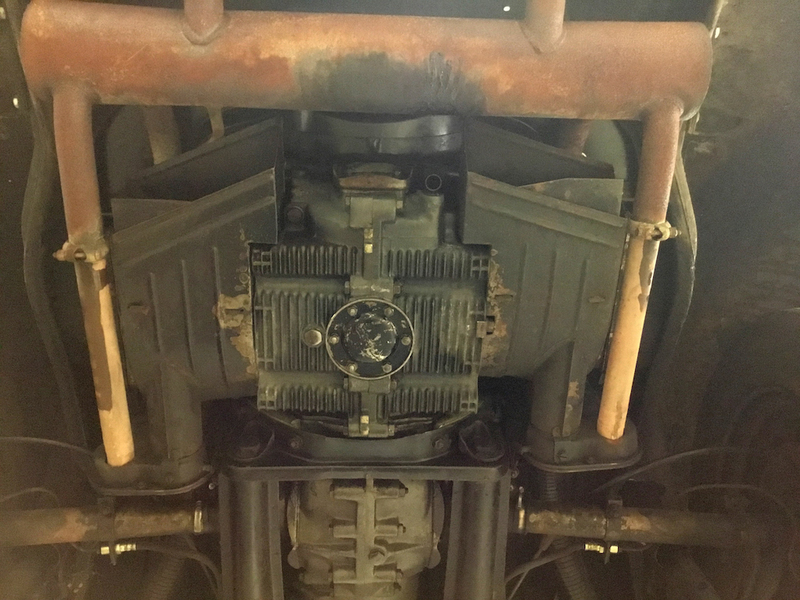 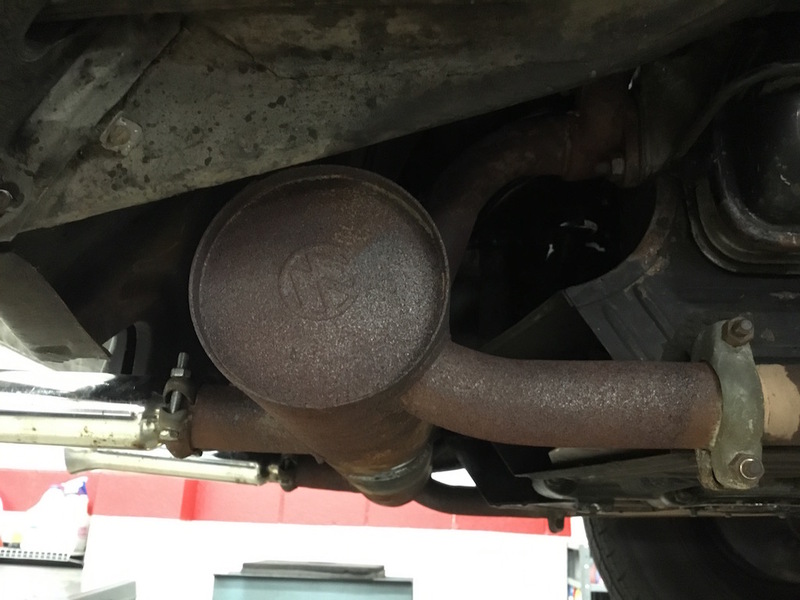 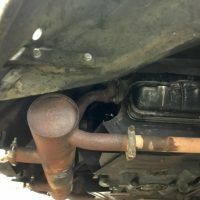 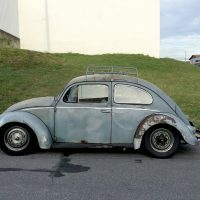 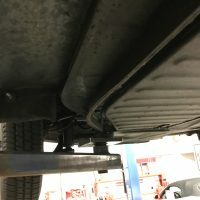 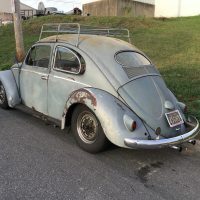 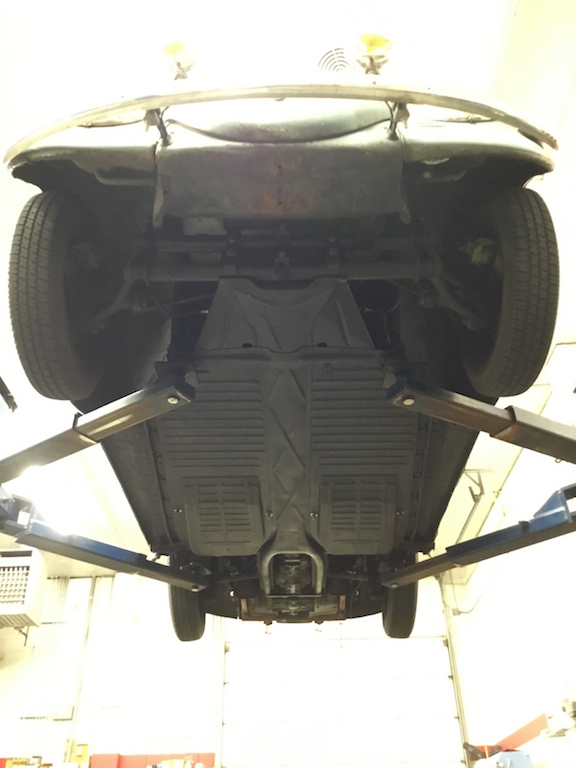 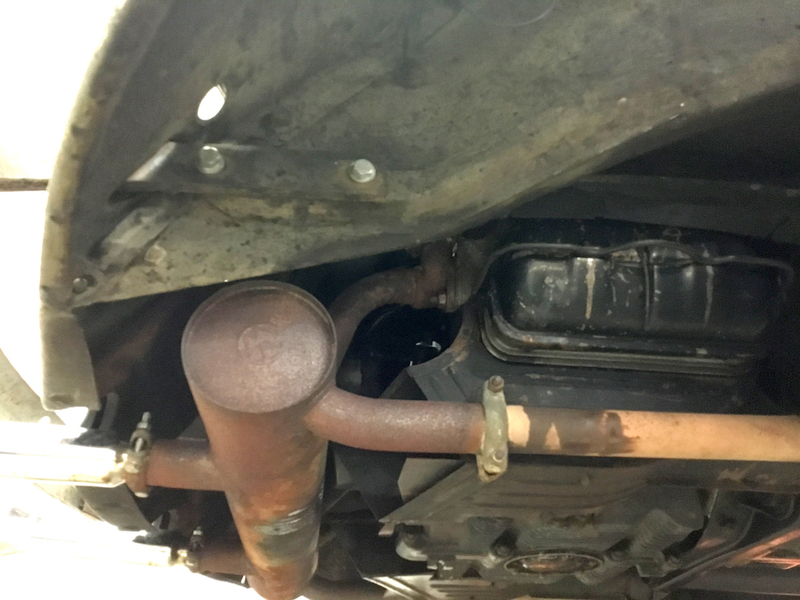 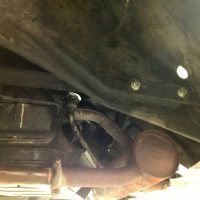 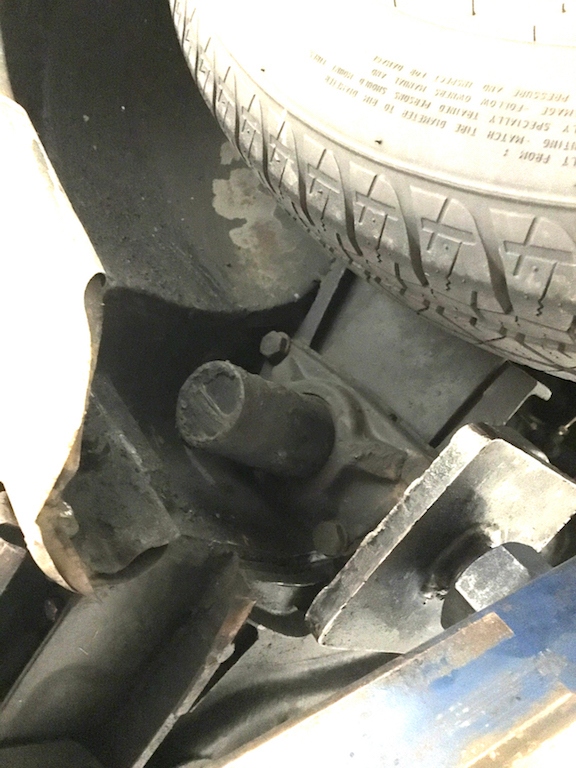 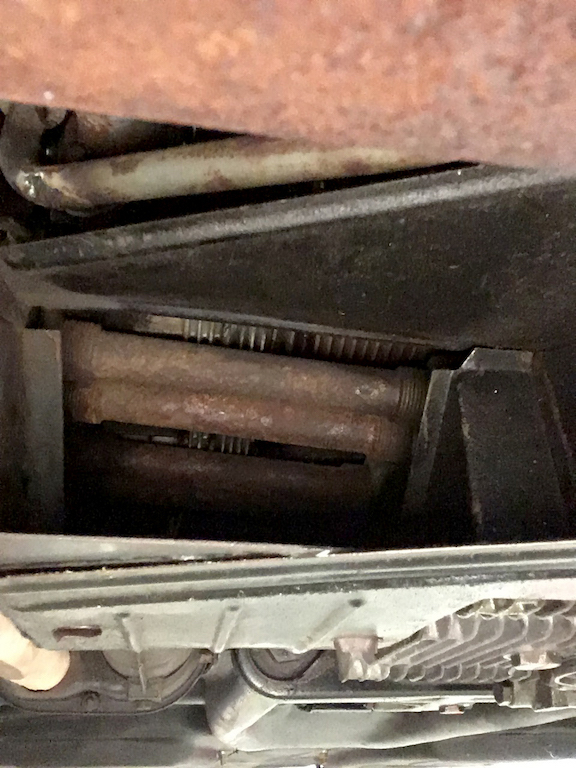 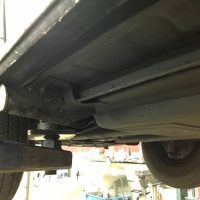 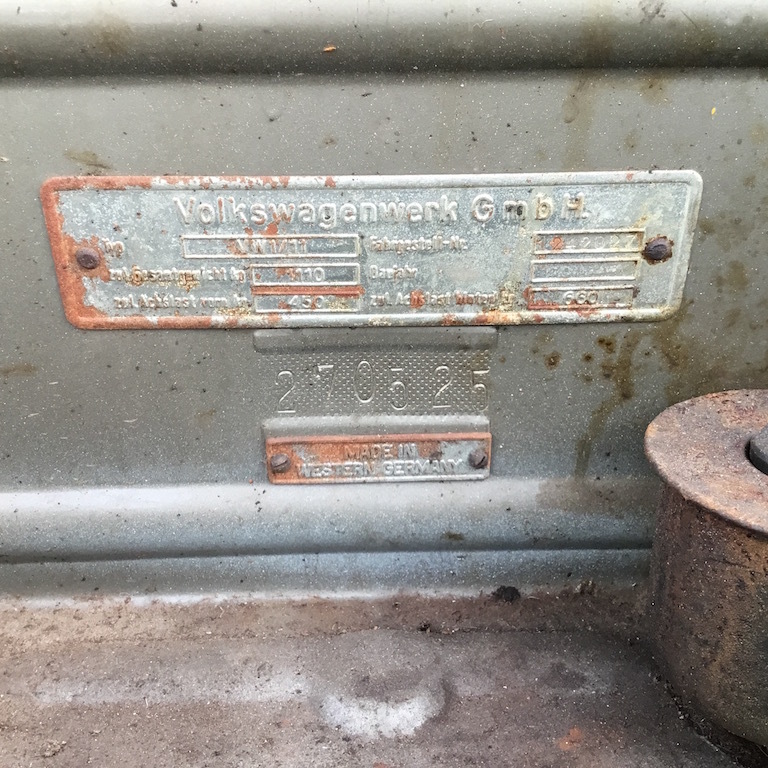 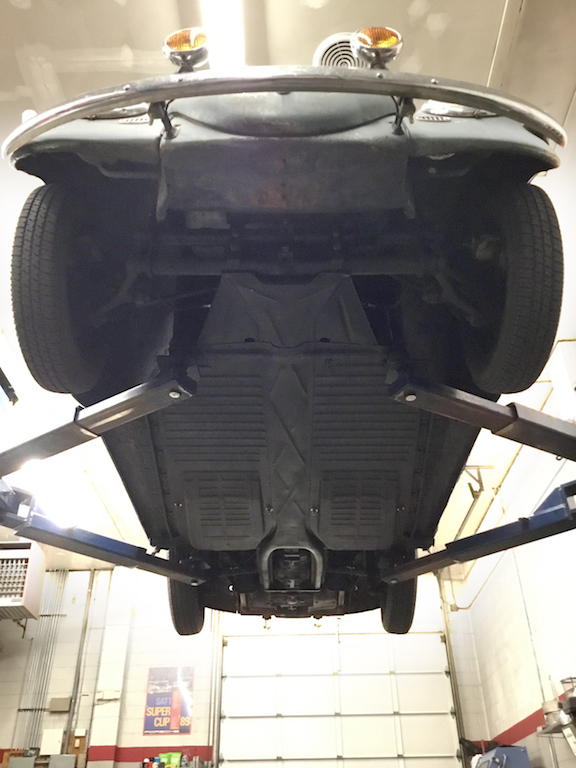 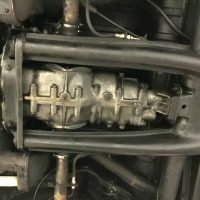 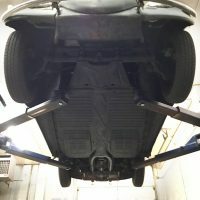 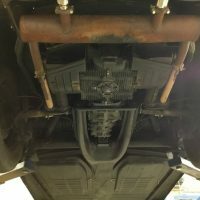 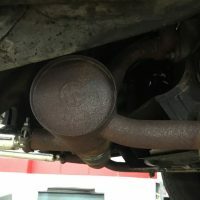 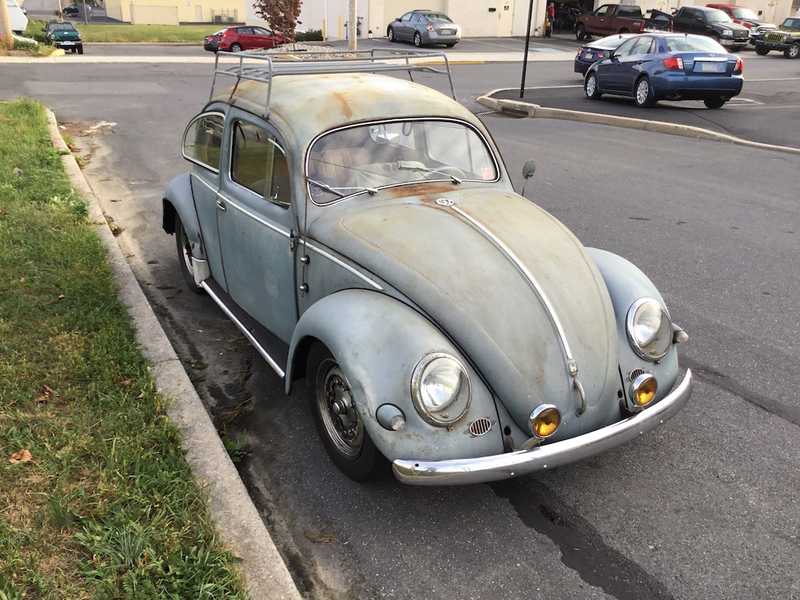 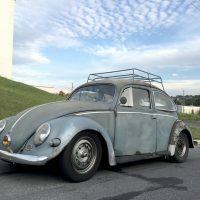 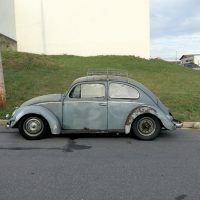 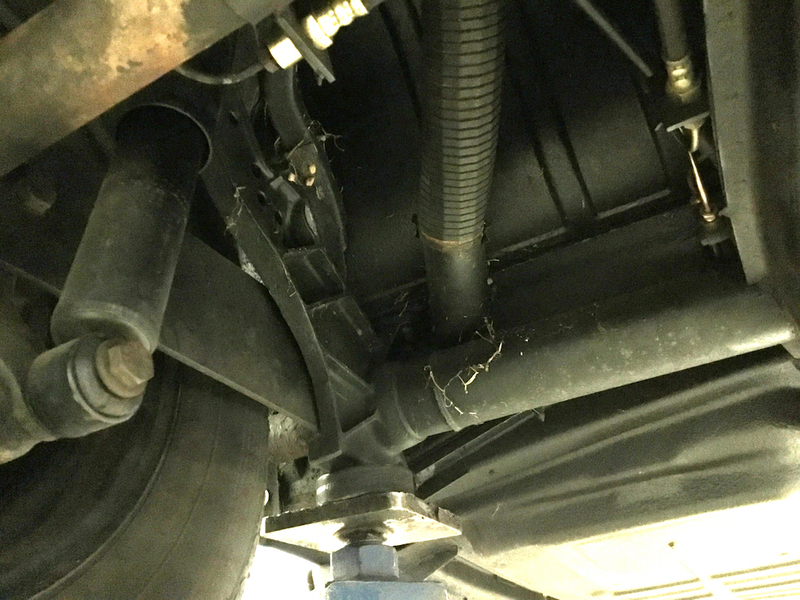 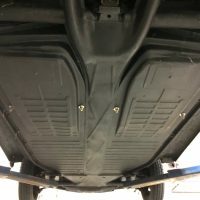 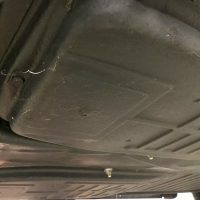 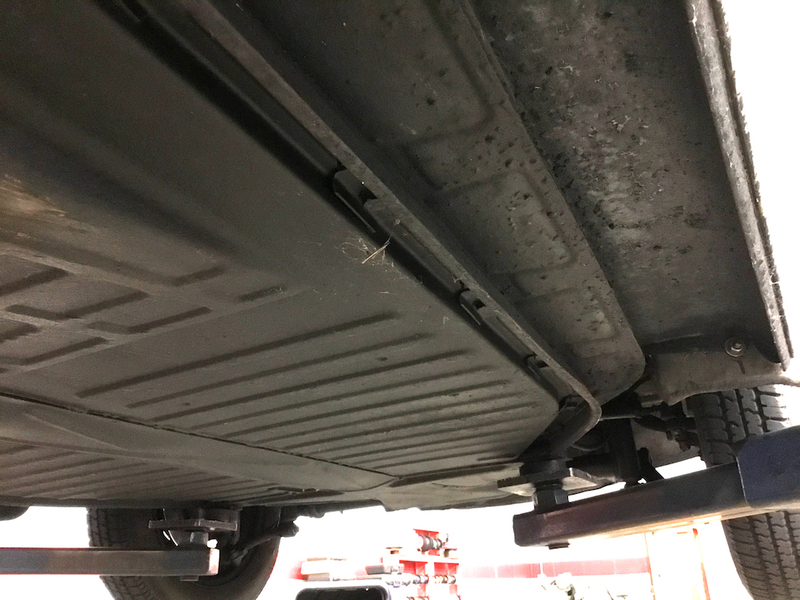 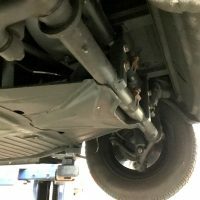 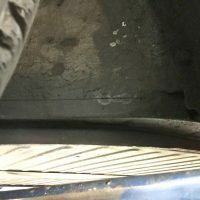 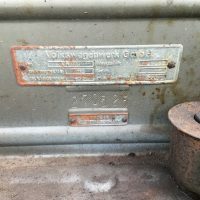 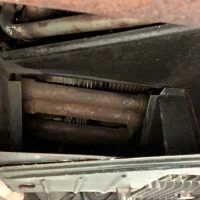 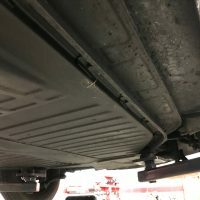 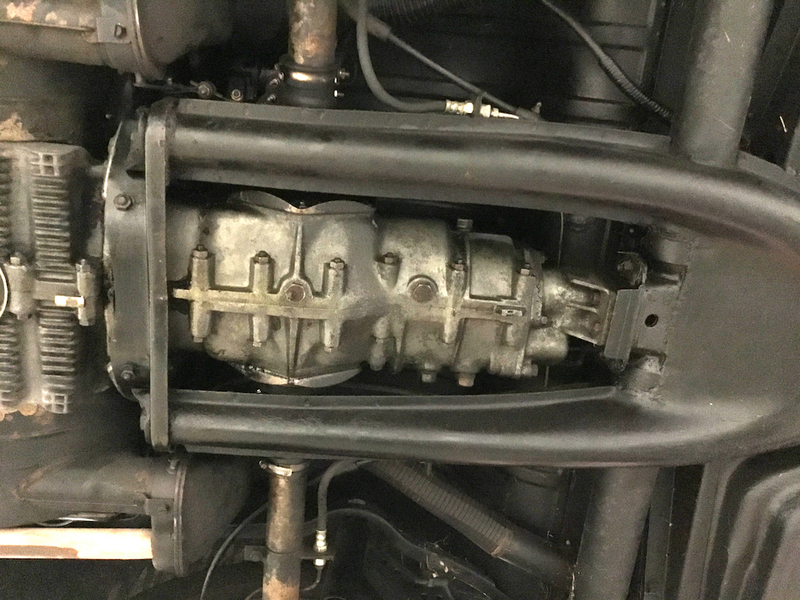 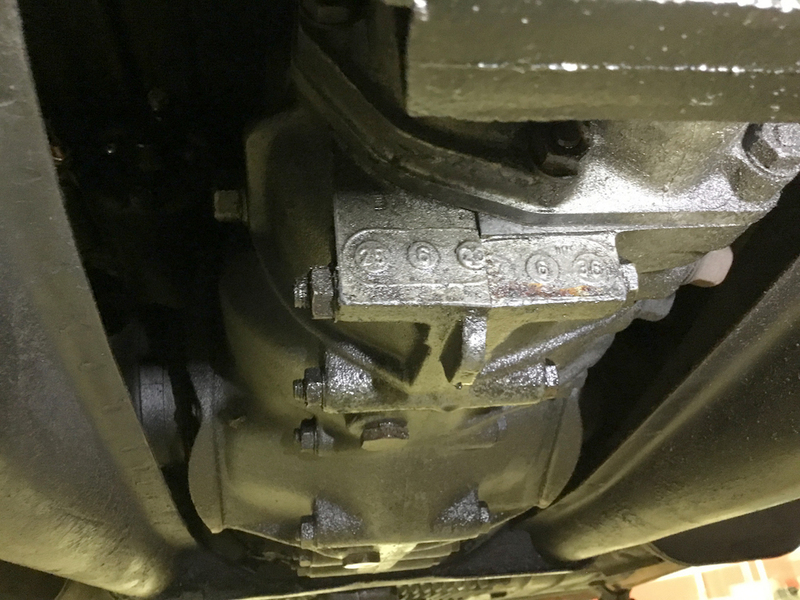 The transmission shifts perfectly and the engine runs without skipping a beat and even has the original VW stamped muffler. 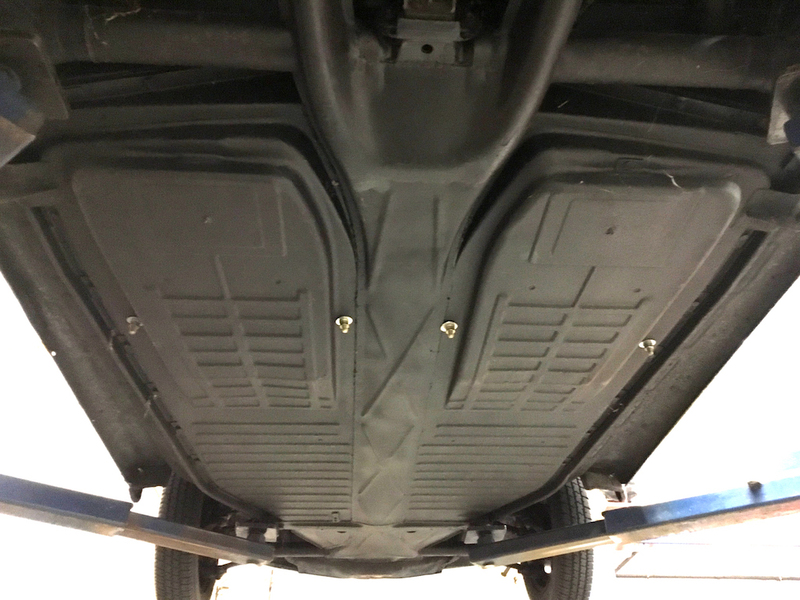 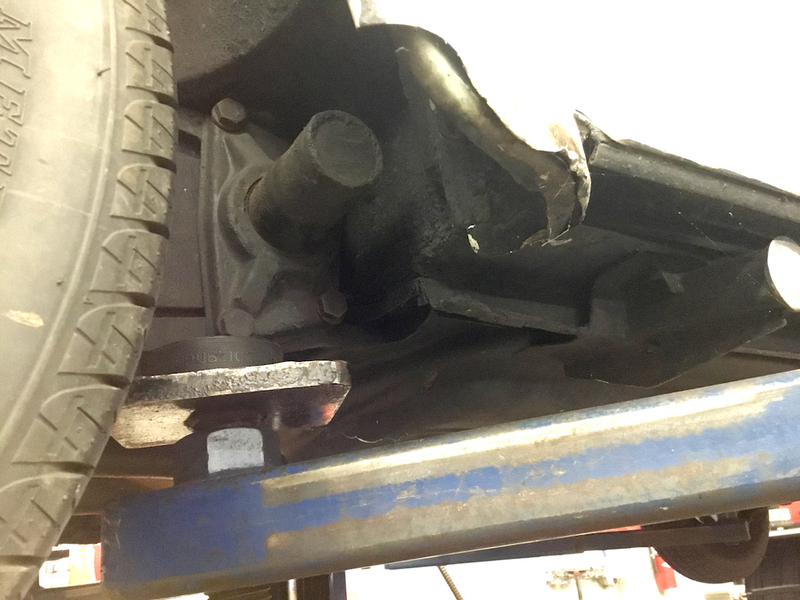 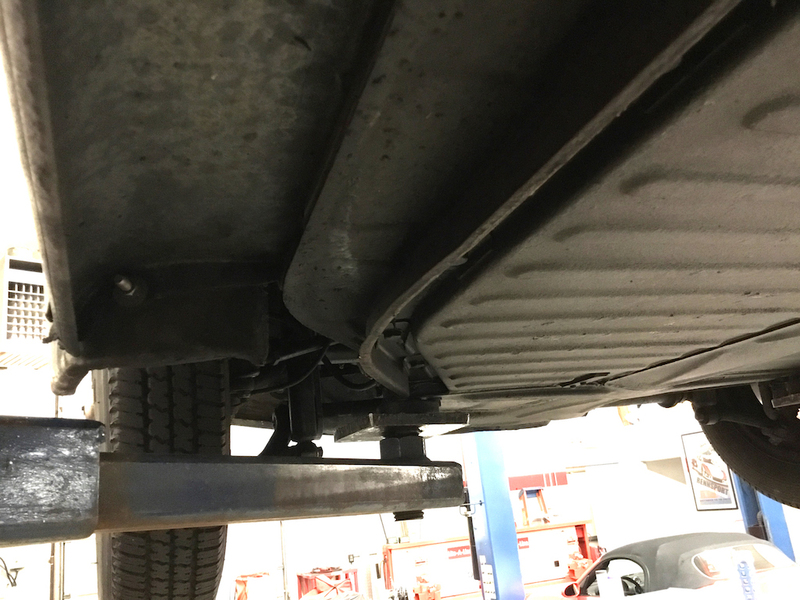 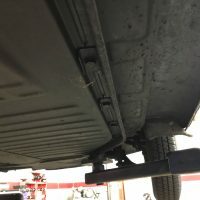 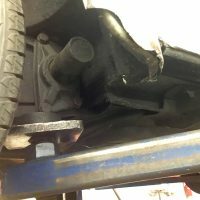 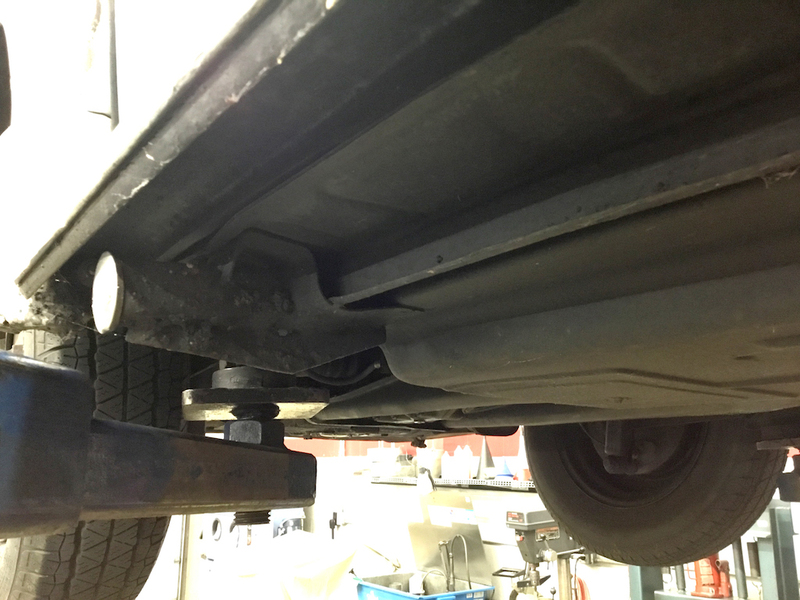 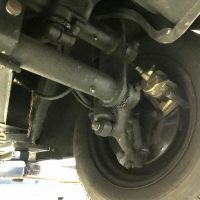 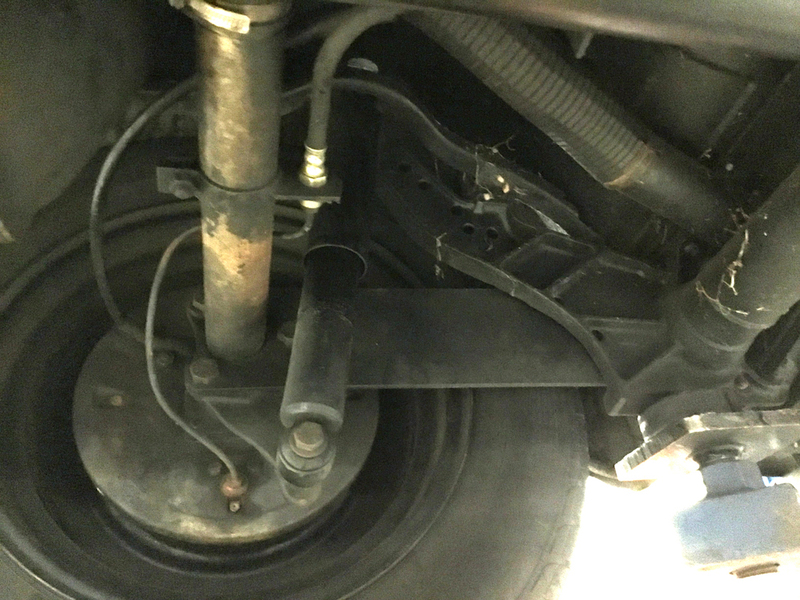 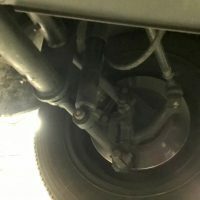 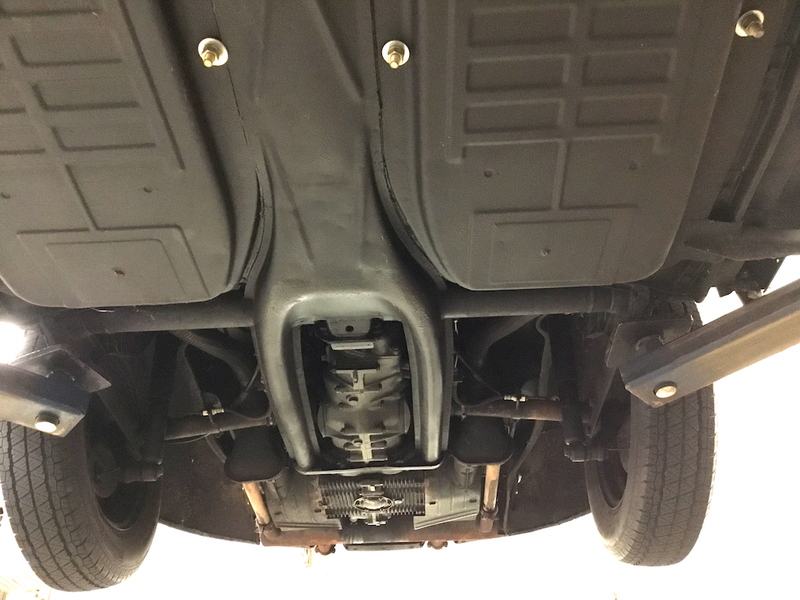 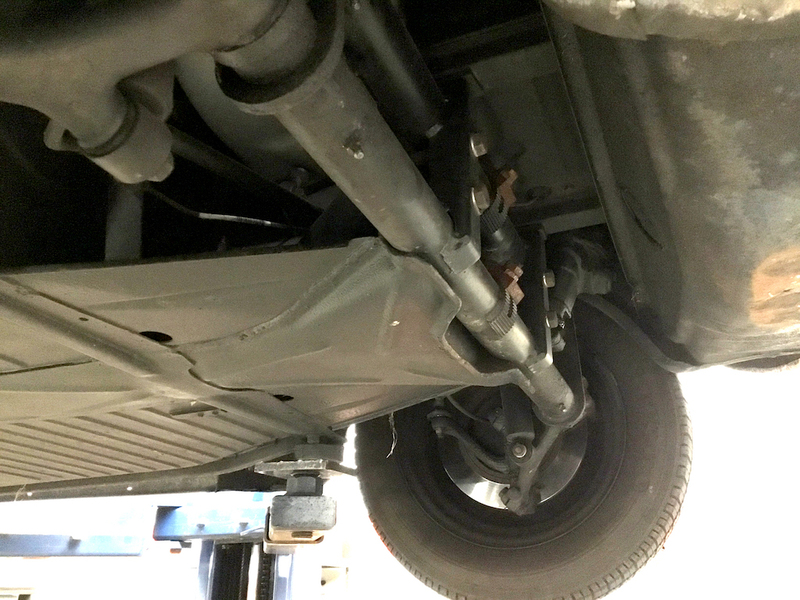 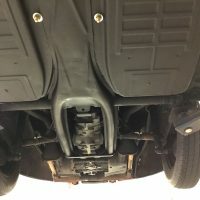 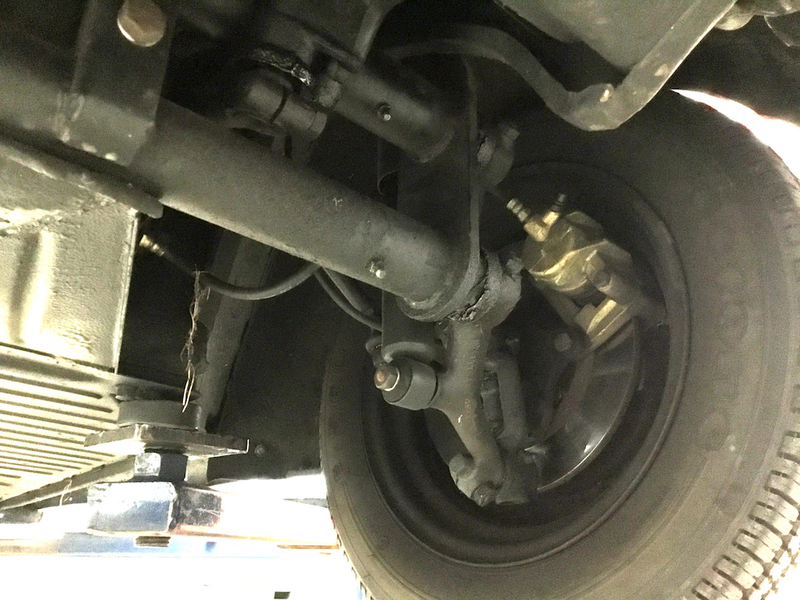 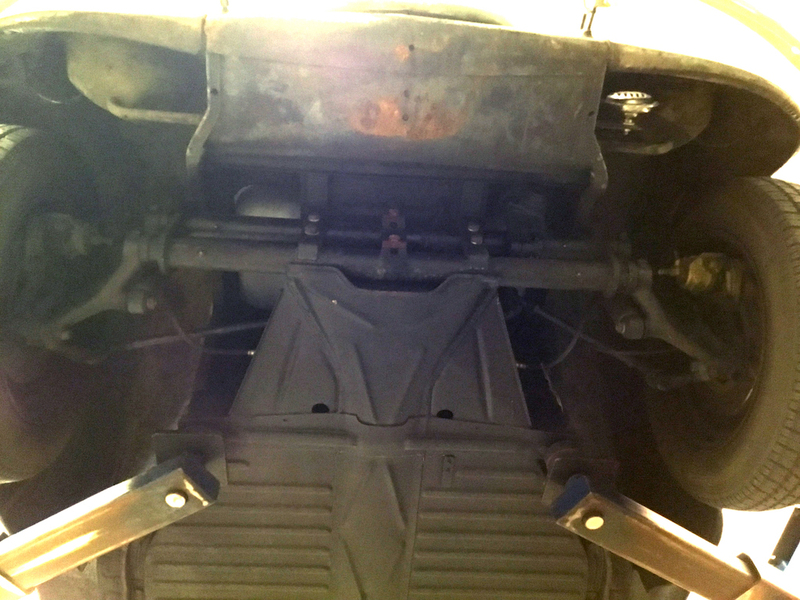 The front brakes have been updated to disk brakes and the front axle beam is a 2 inch narrowed beam with adjustable ride height. 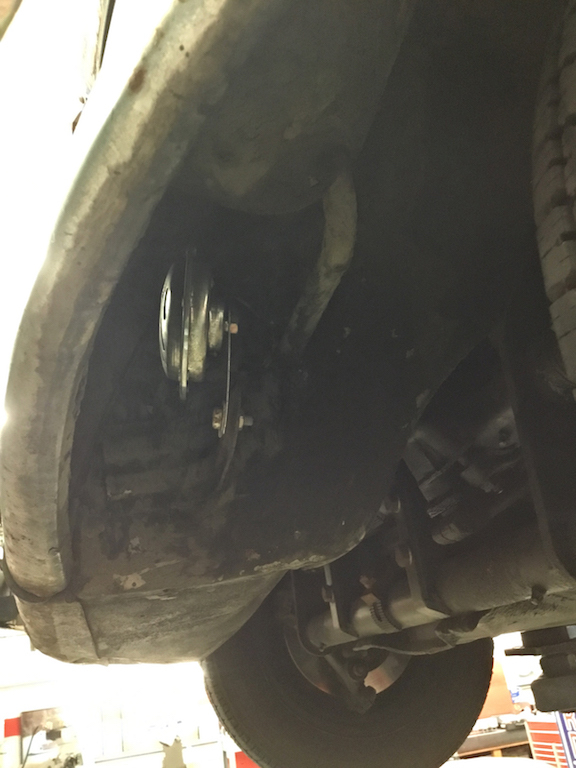 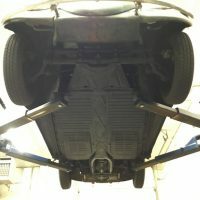 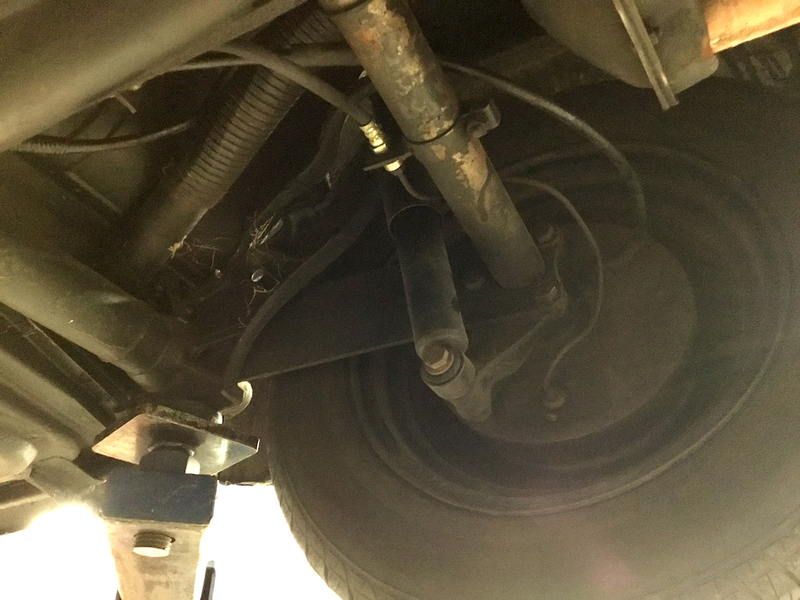 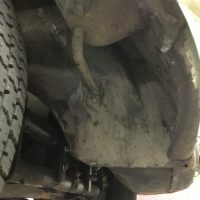 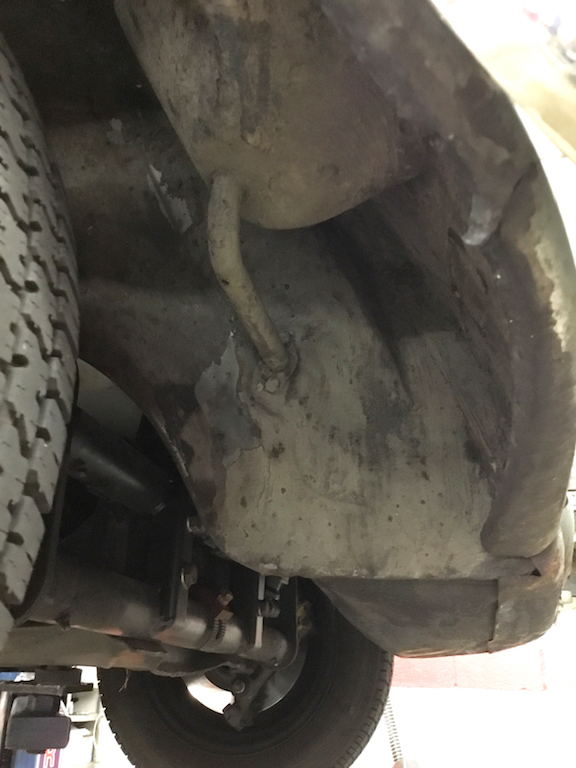 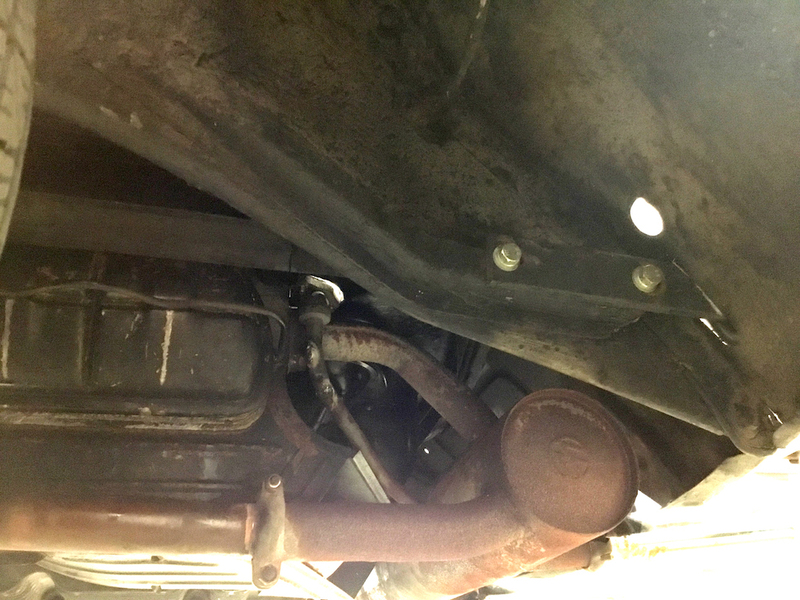 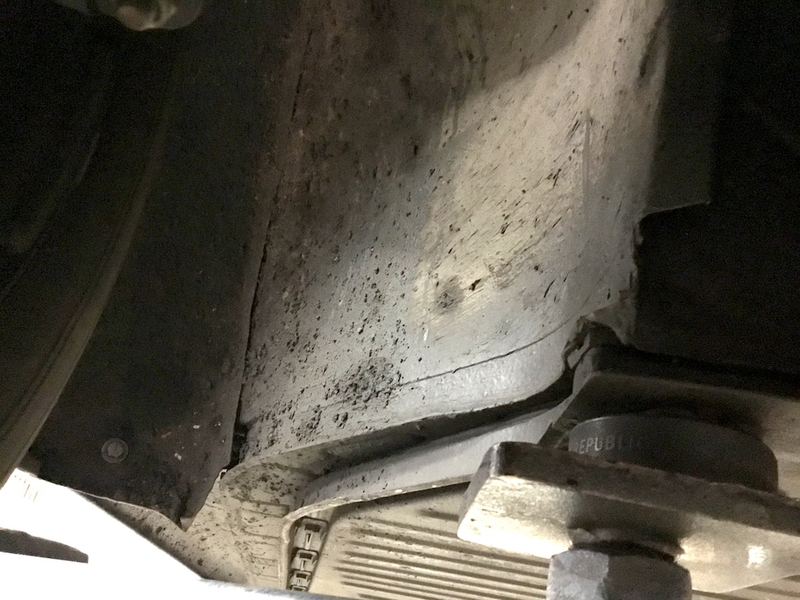 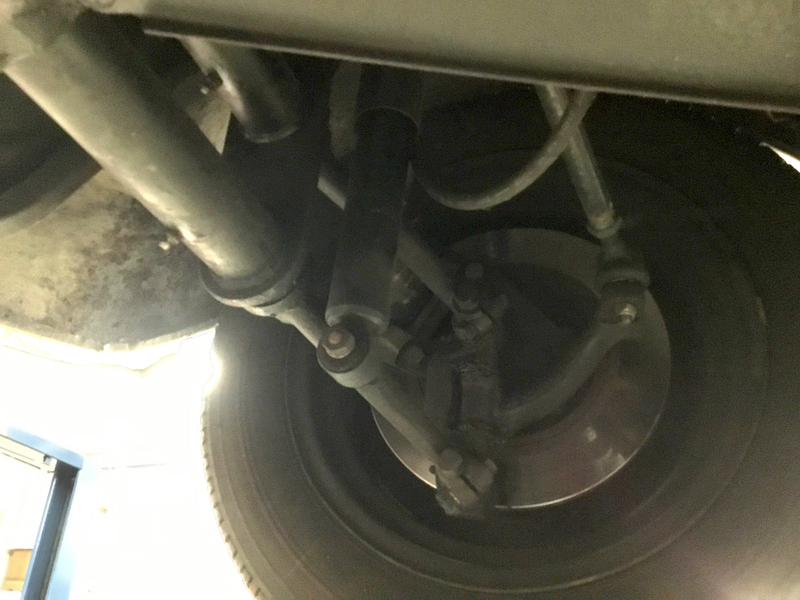 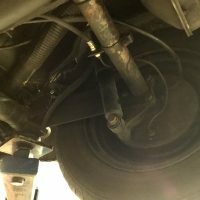 The original front brakes and axle beams are still with the car, along with a few boxes of parts. 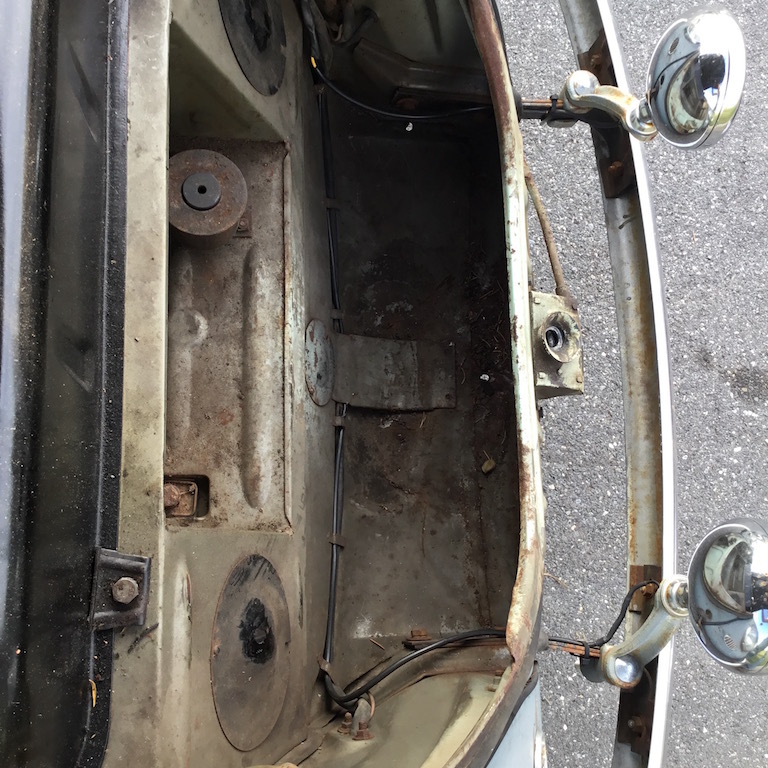 The floors have been stripped, epoxied and undercoated for preservation. 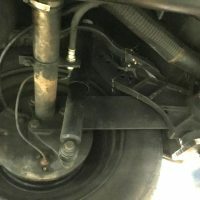 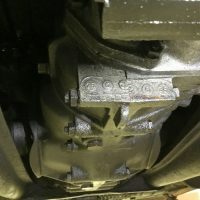 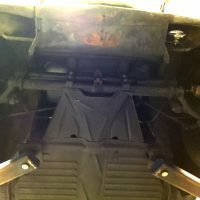 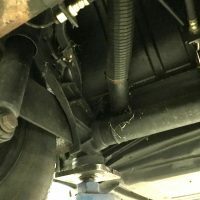 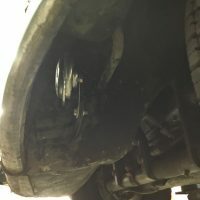 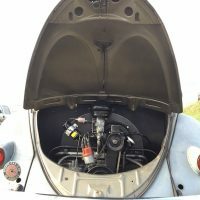 The spark plugs, plug wires, 6v coil, brake hoses, wheel cylinders, axle boots and fuel petcock were all replaced in 2009. 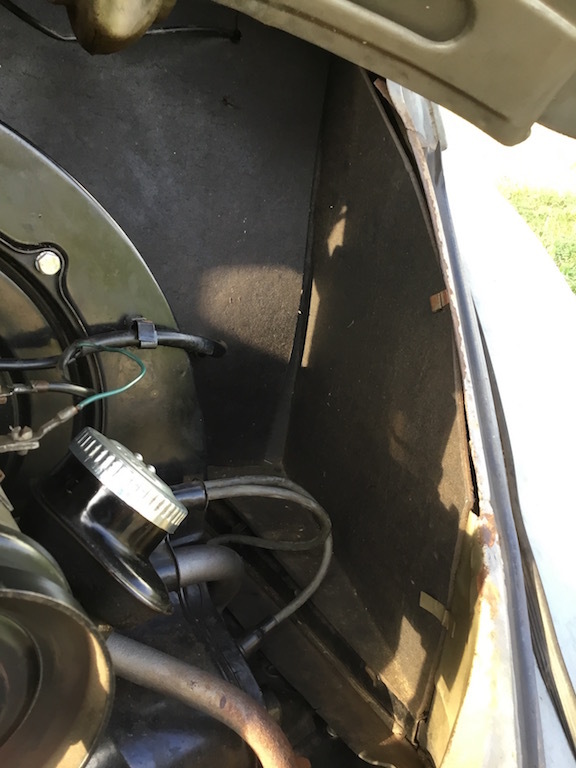 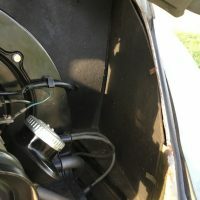 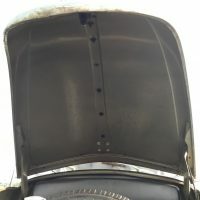 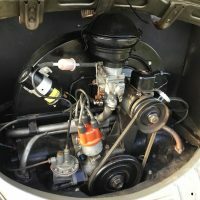 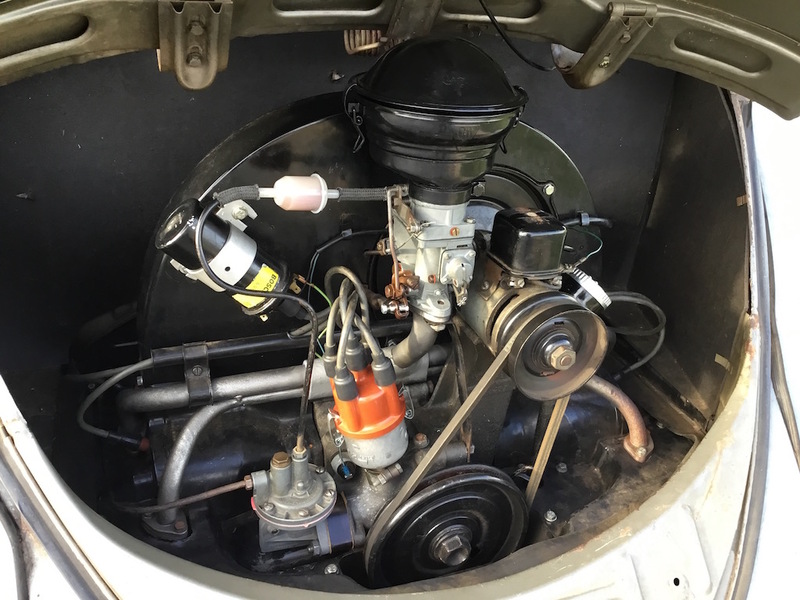 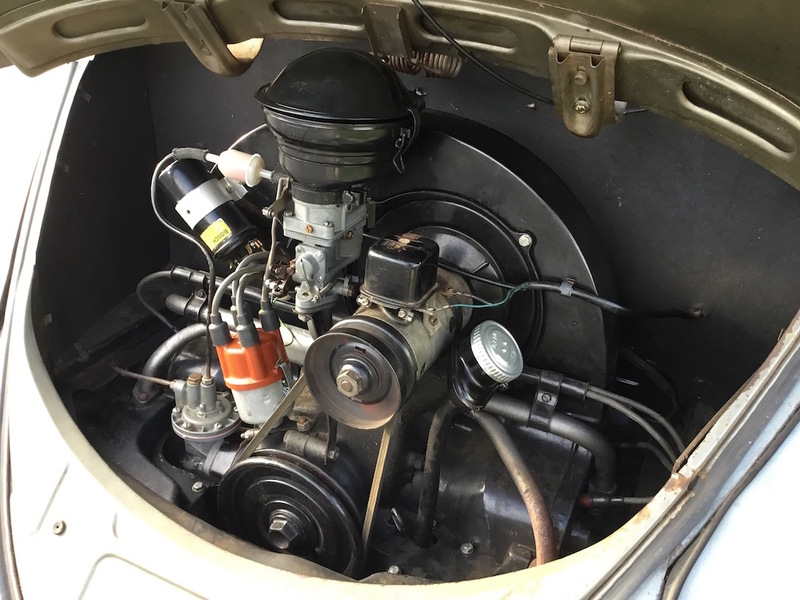 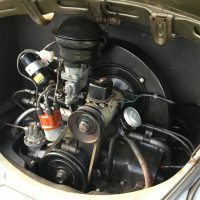 The carburetor and fuel pump have been rebuilt, the distributor was replaced, valves adjusted and oil changed in 2017. 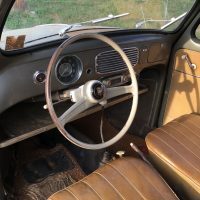 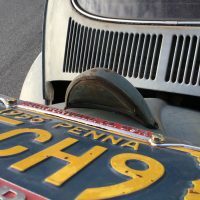 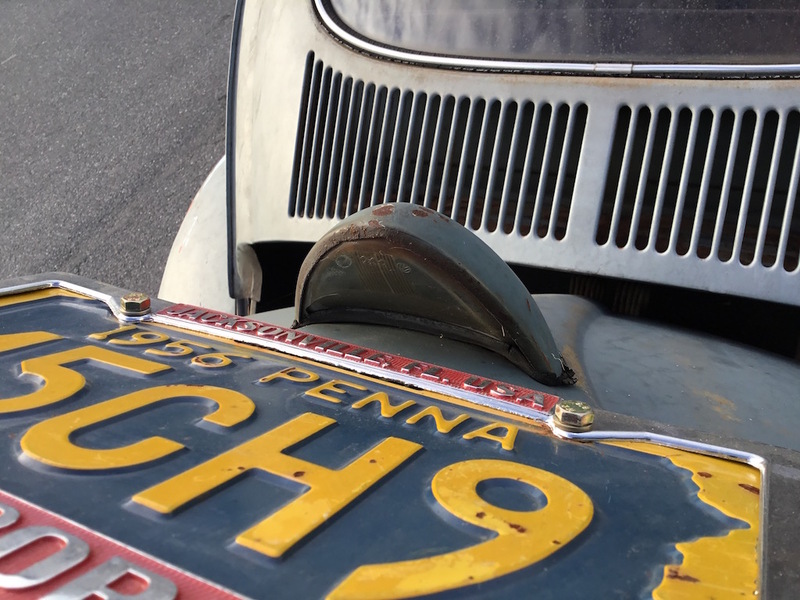 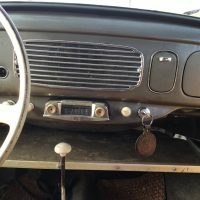 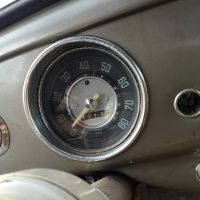 The car is a true time capsule, a good way to slow life down and take a step back in time; and most certainly a joy to drive.